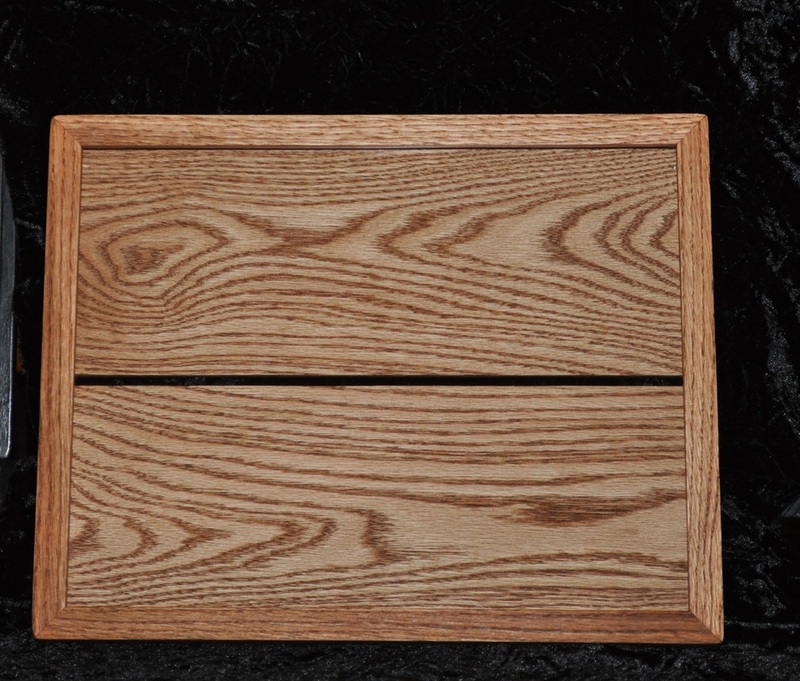 to contact me about placing an order. 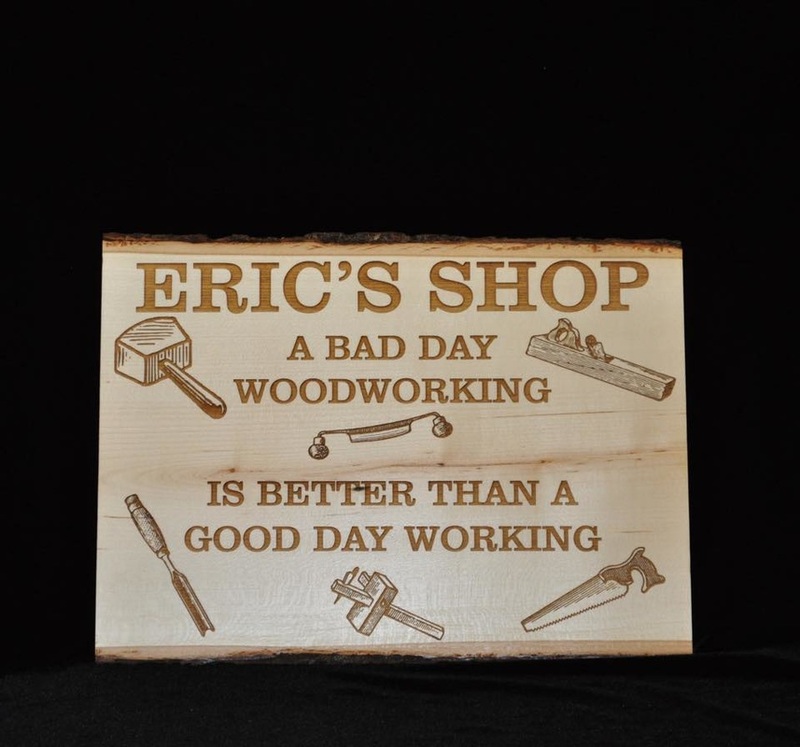 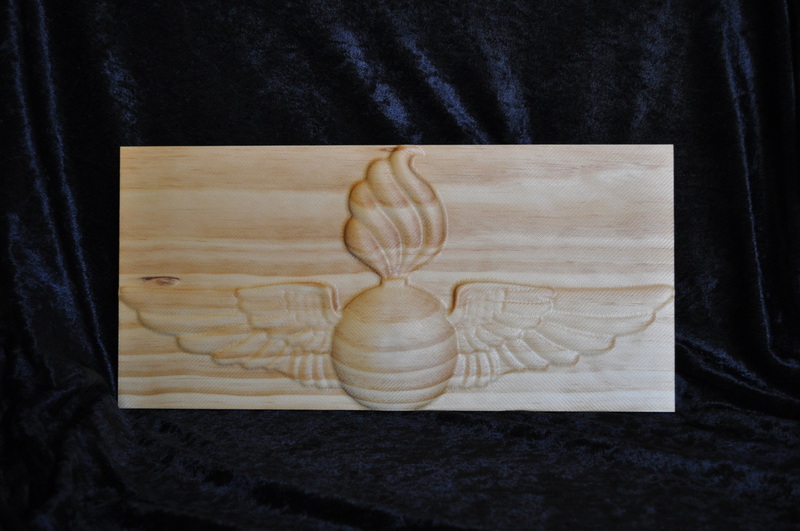 Check out the Facebook page as well to see the latest creations. 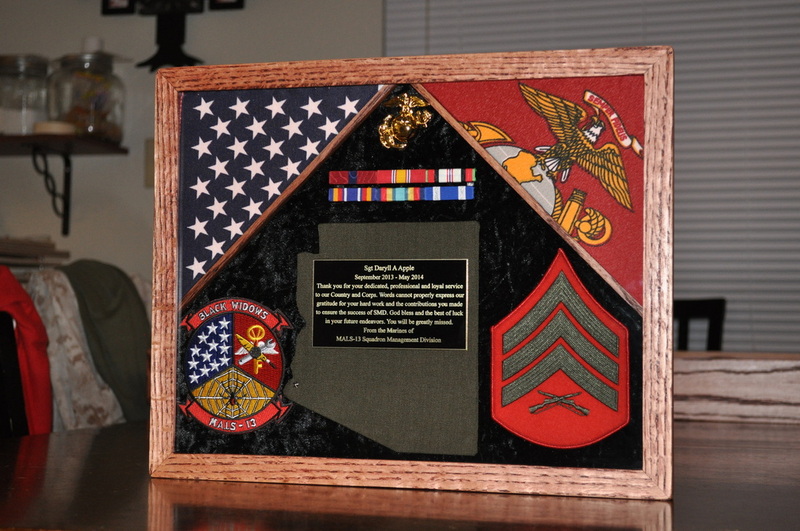 Slide show of completed projects, scroll down for pictures with descriptions. 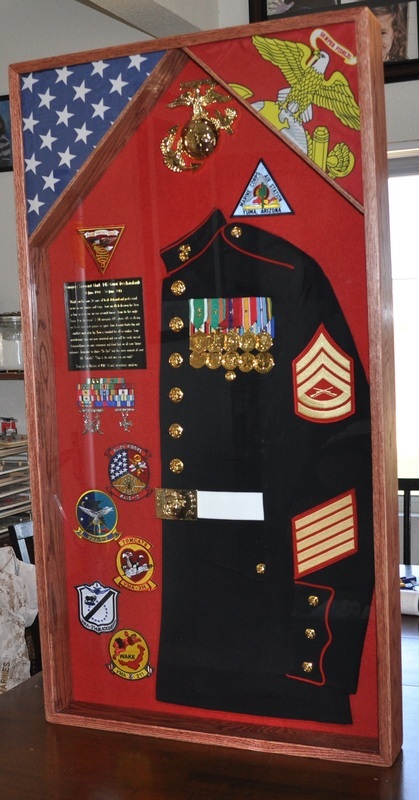 This is a Colpitts Custom Creations Original design. 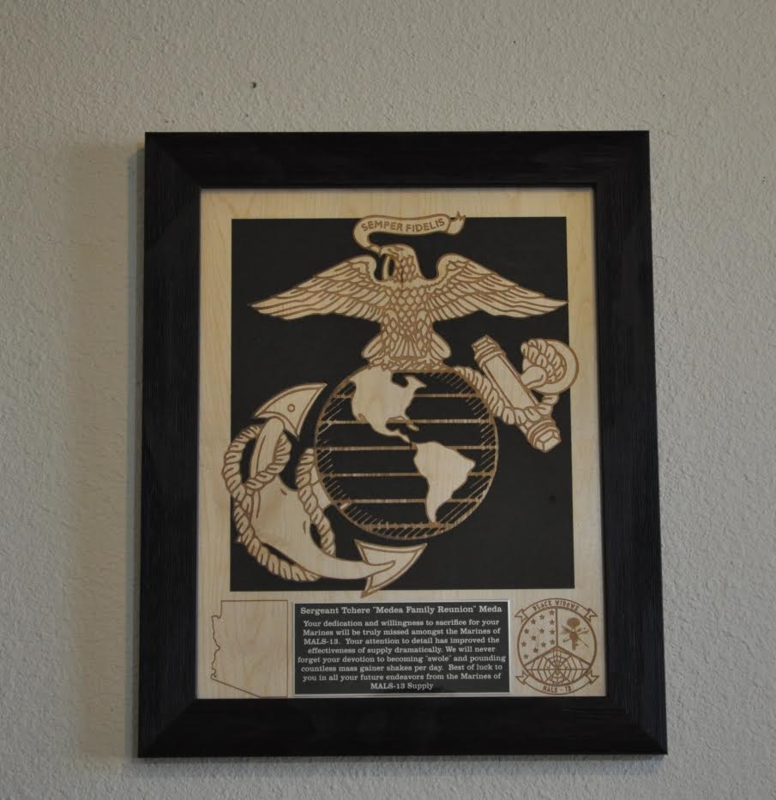 The frame has the bombay mahogany stain applied. 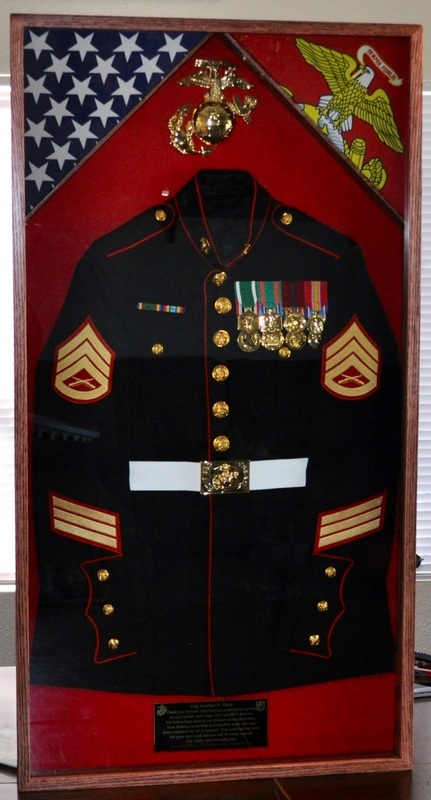 Alpha Blouse mounted. 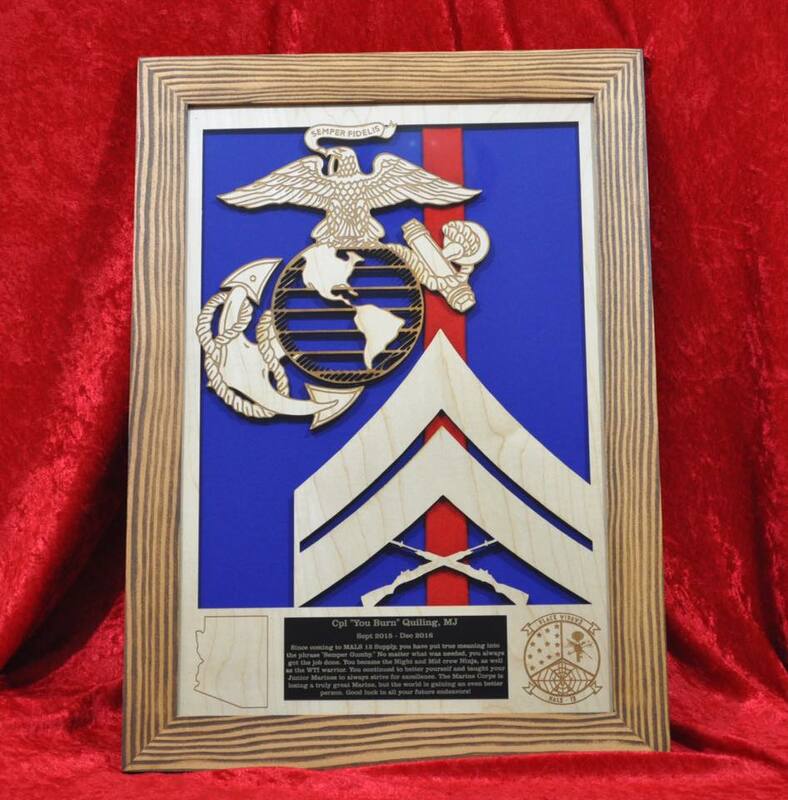 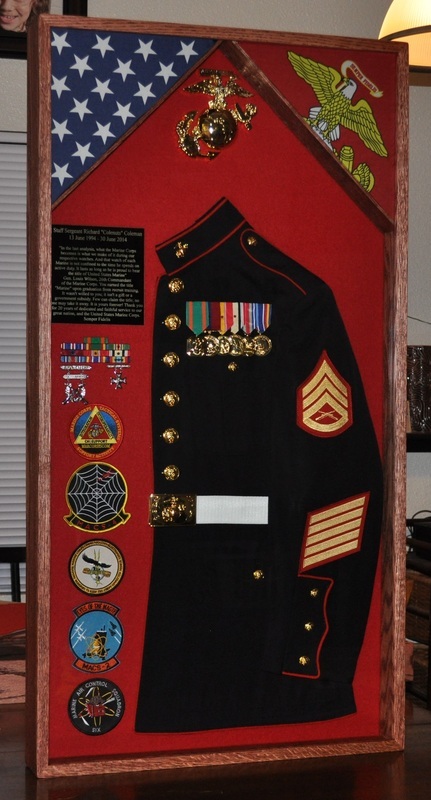 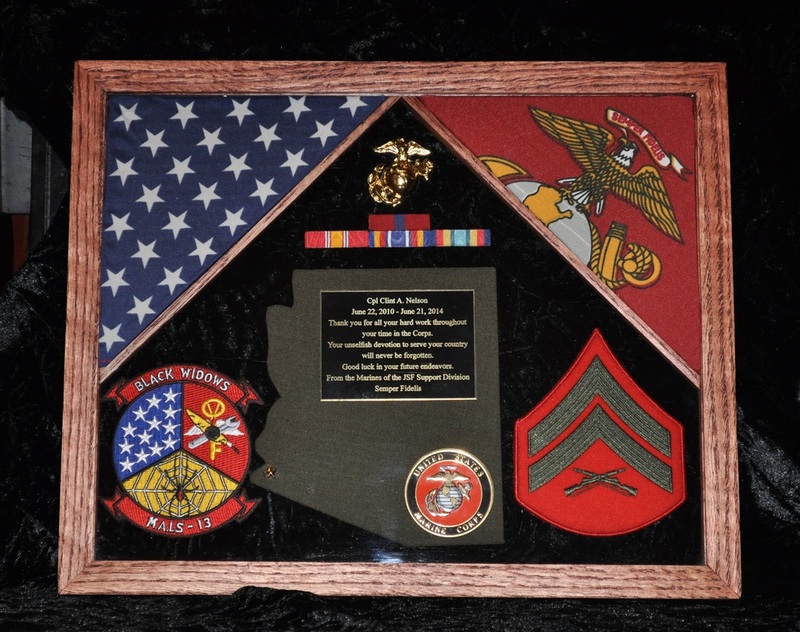 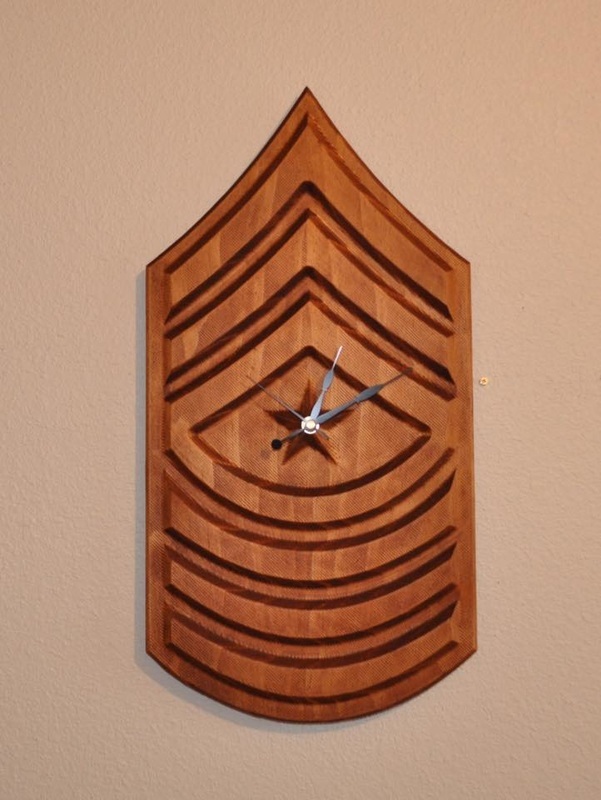 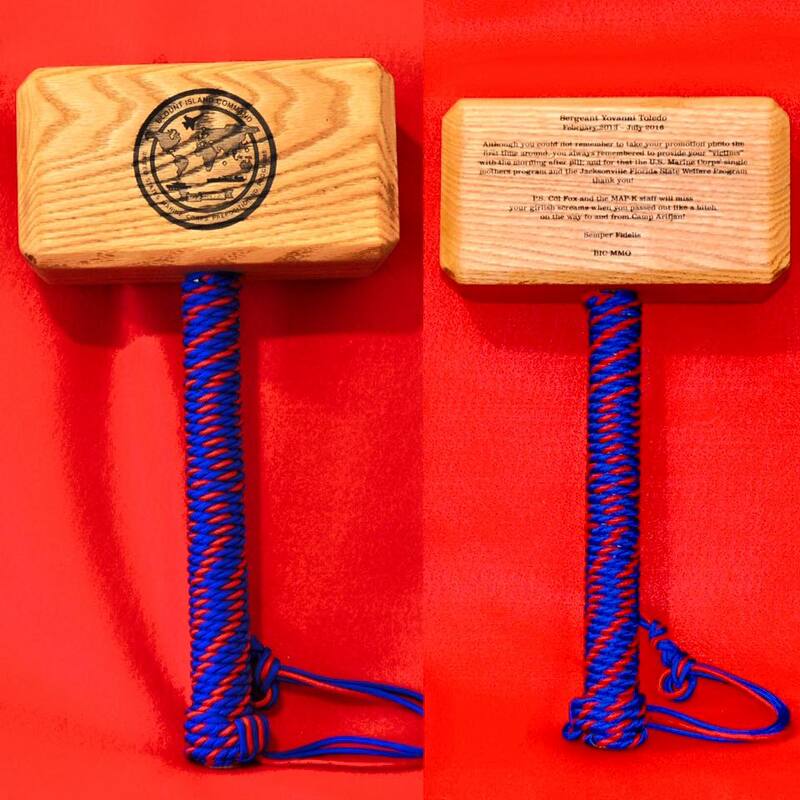 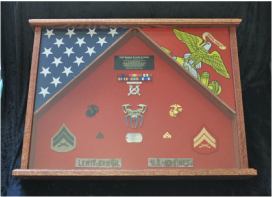 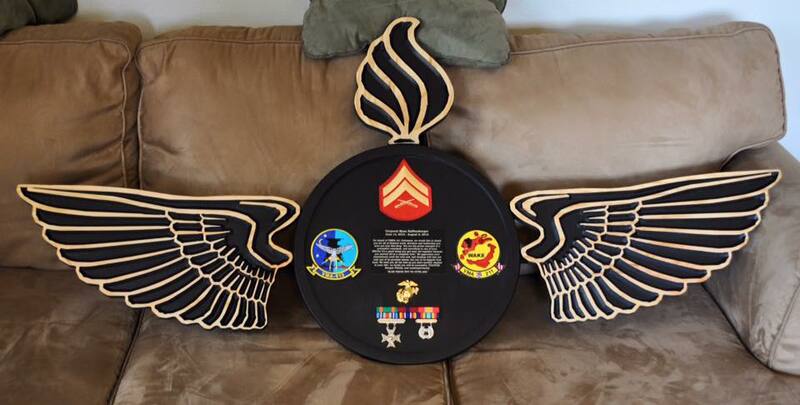 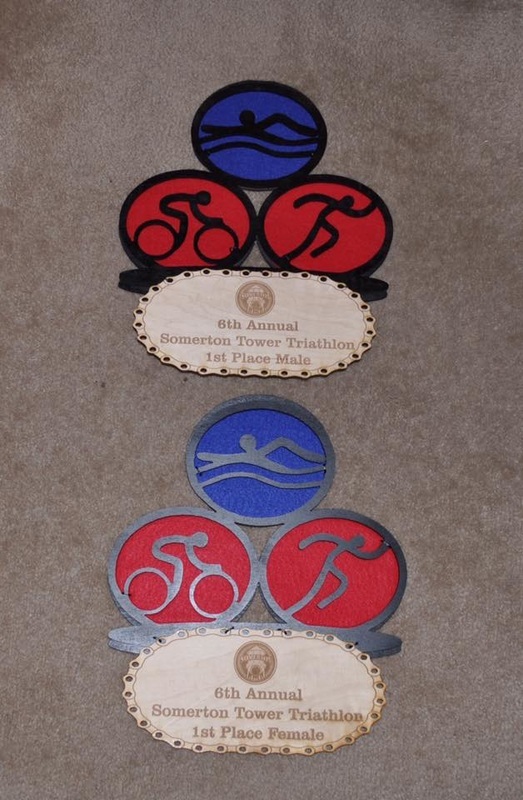 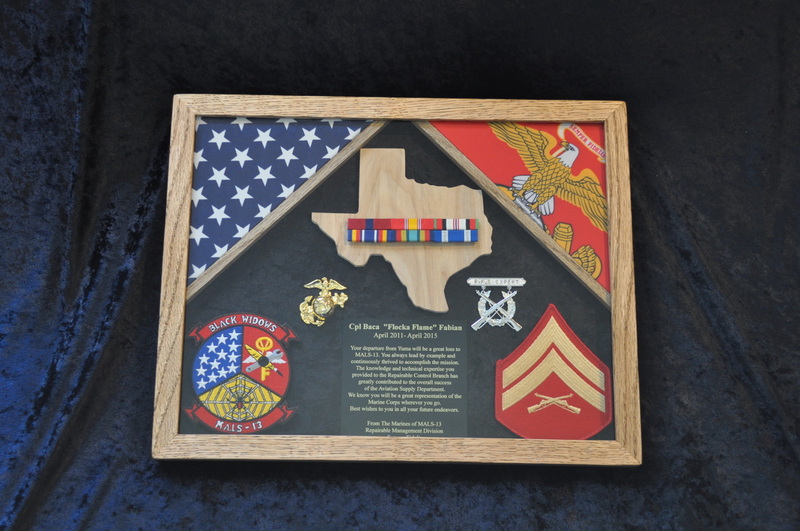 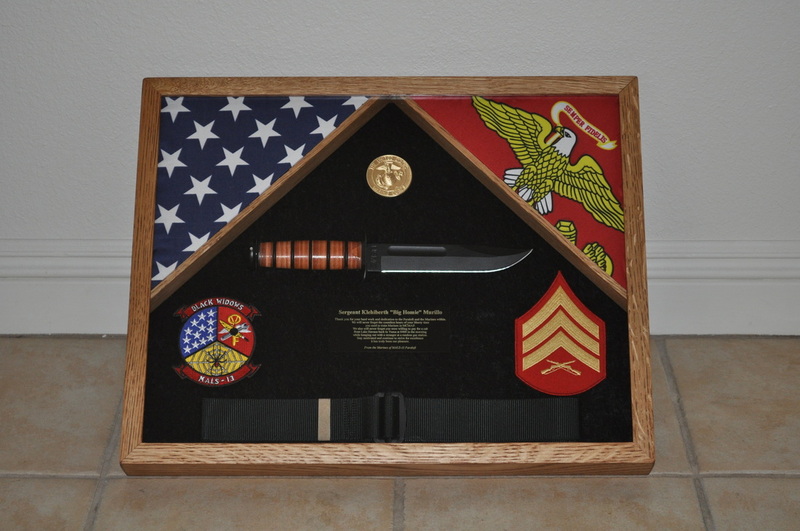 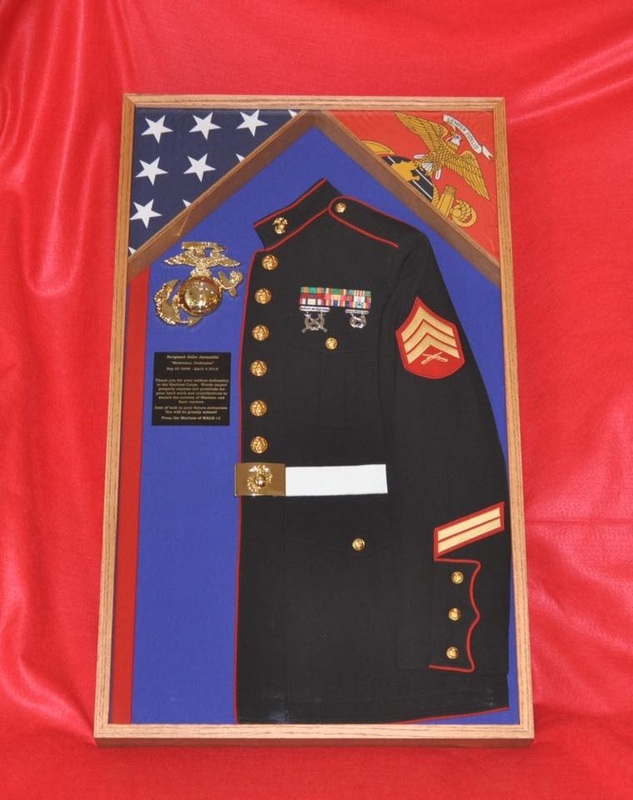 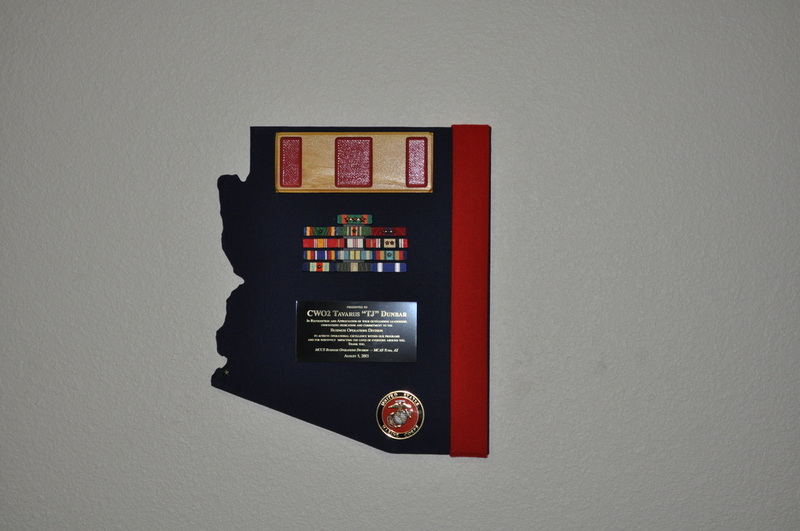 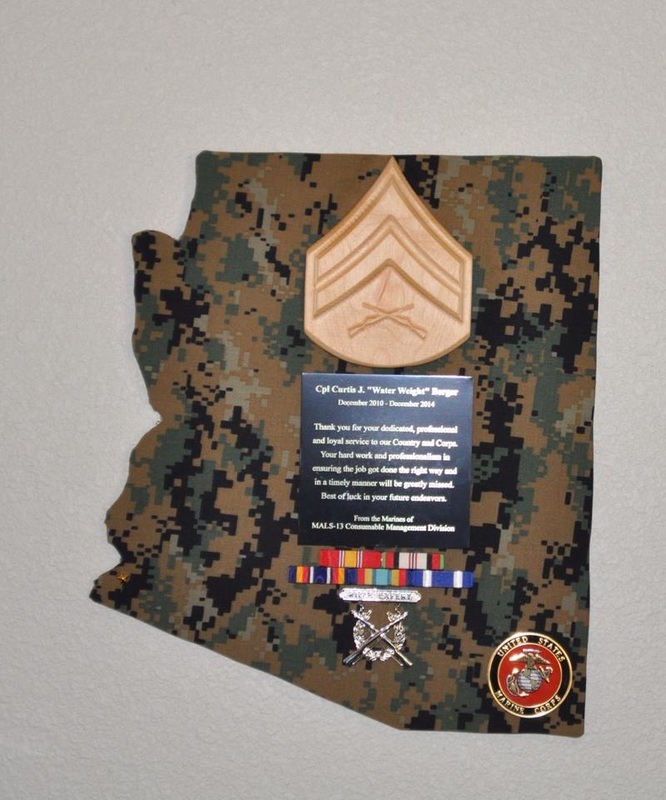 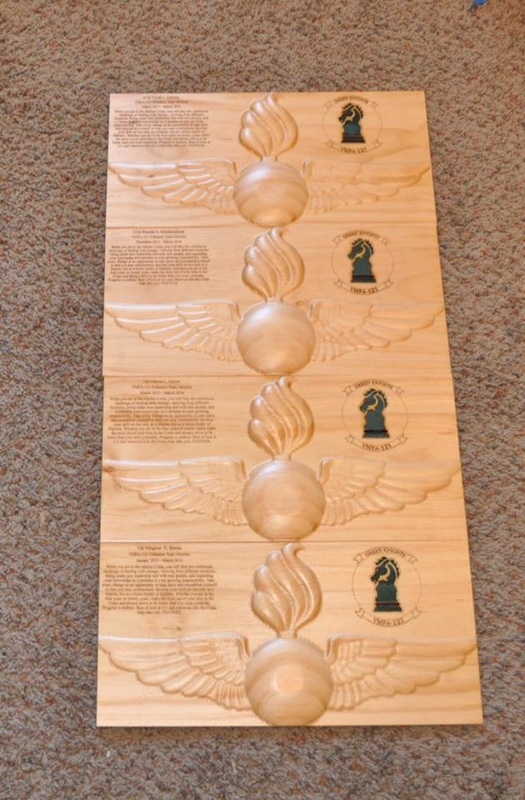 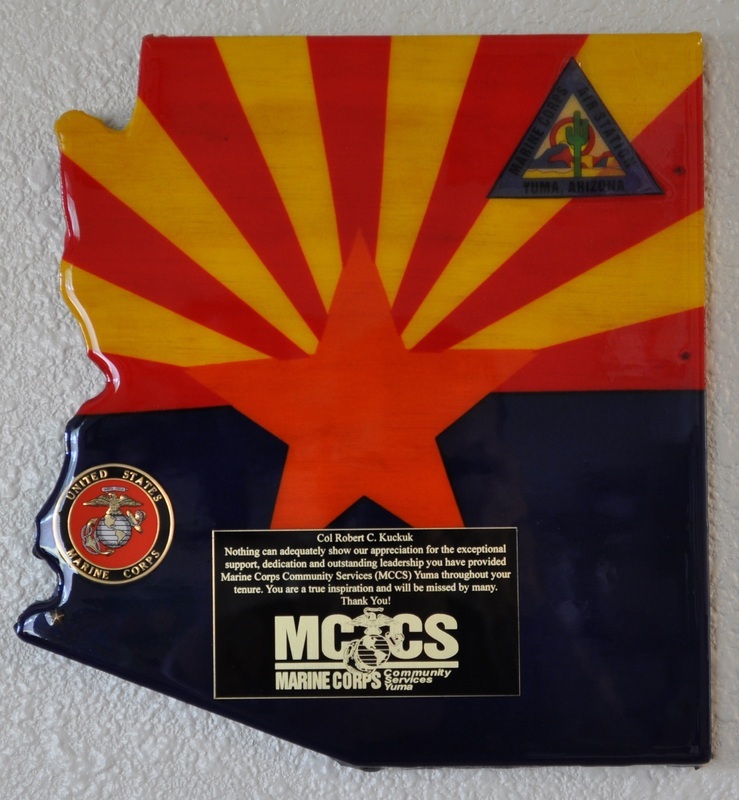 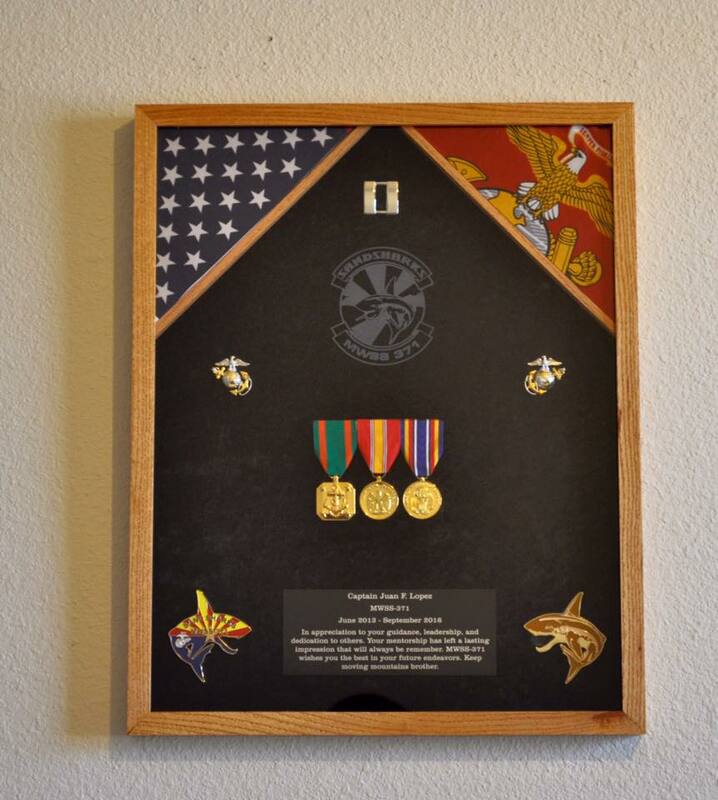 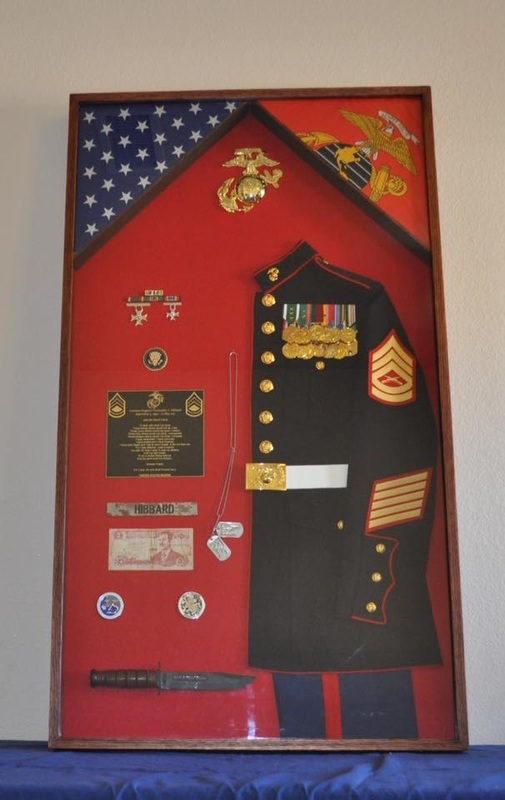 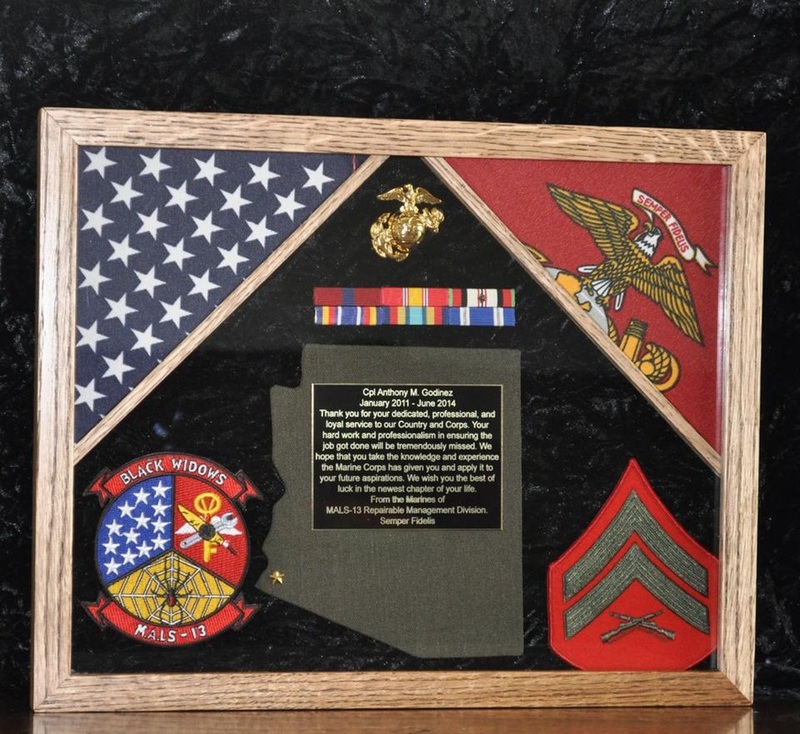 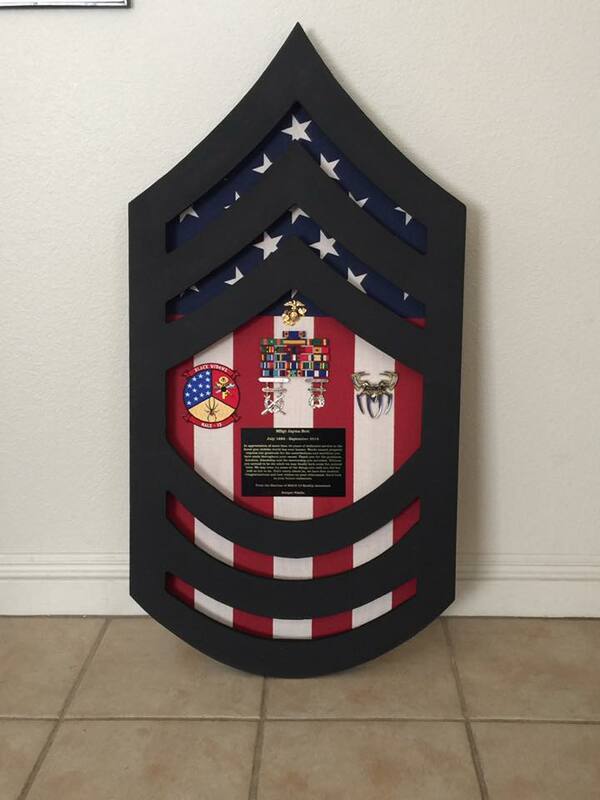 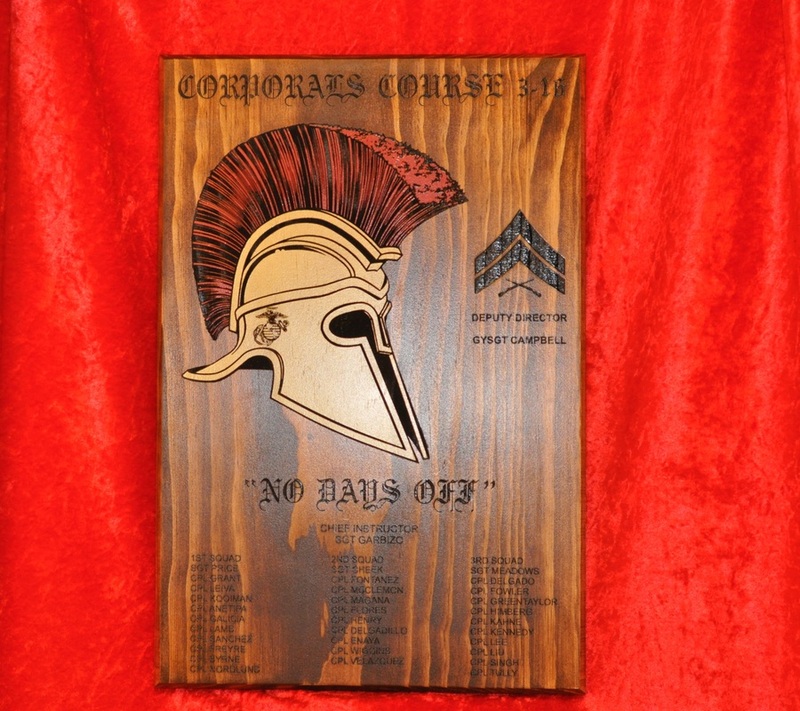 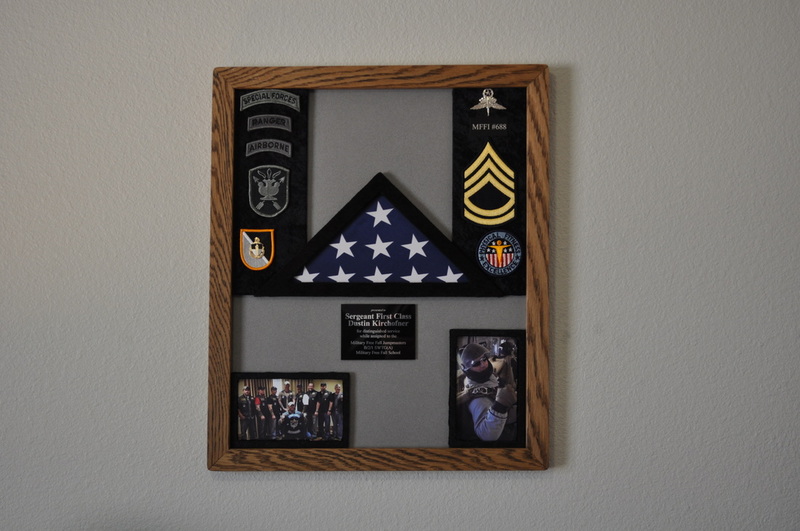 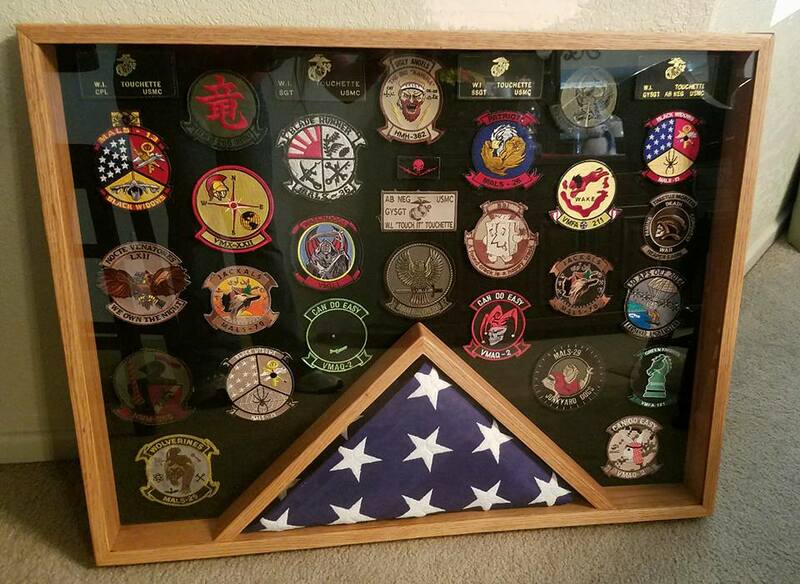 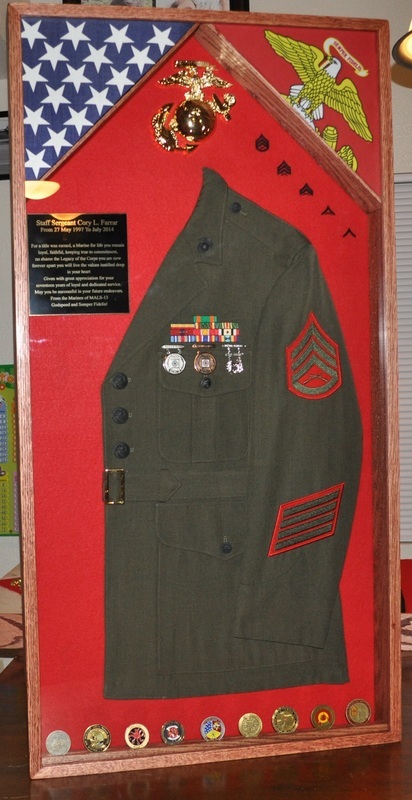 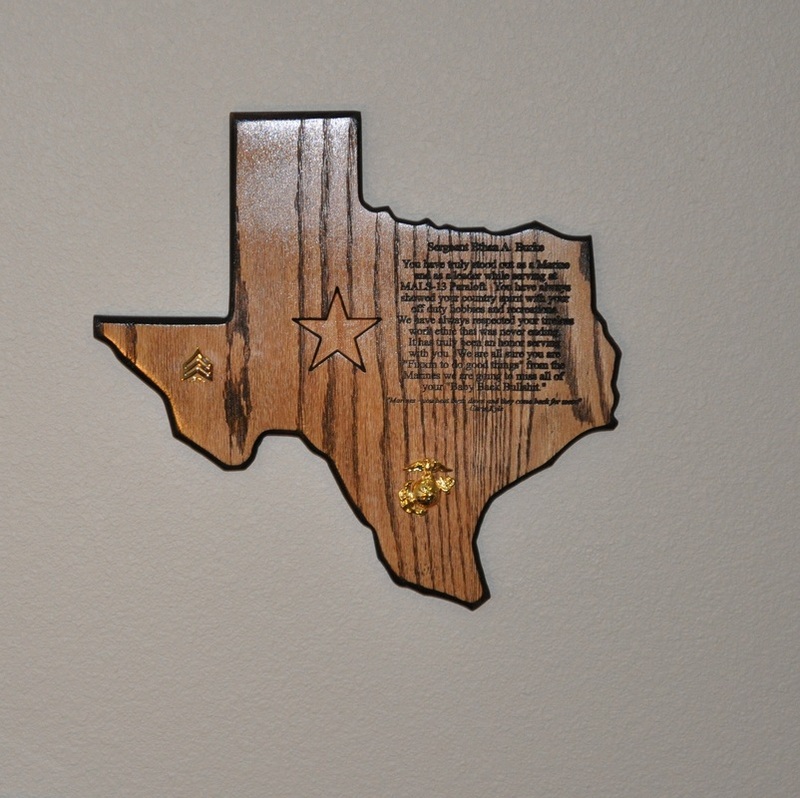 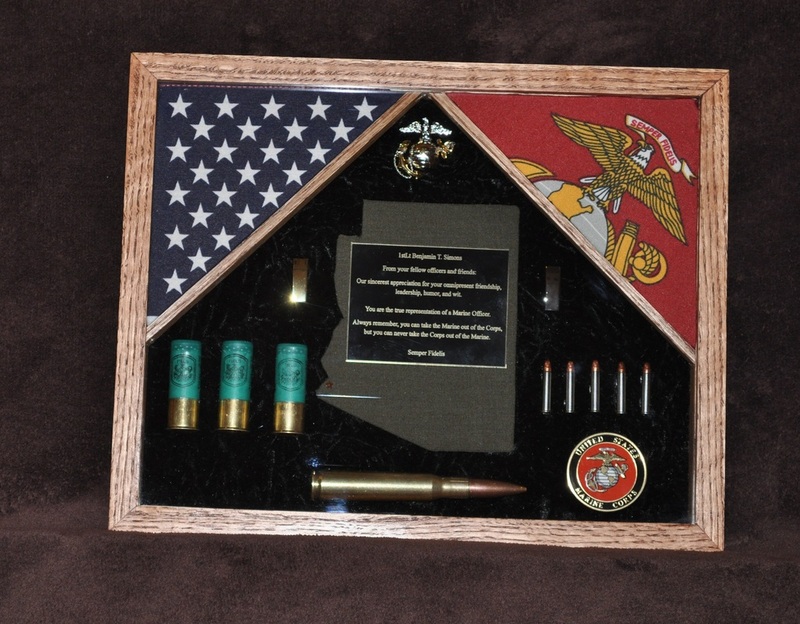 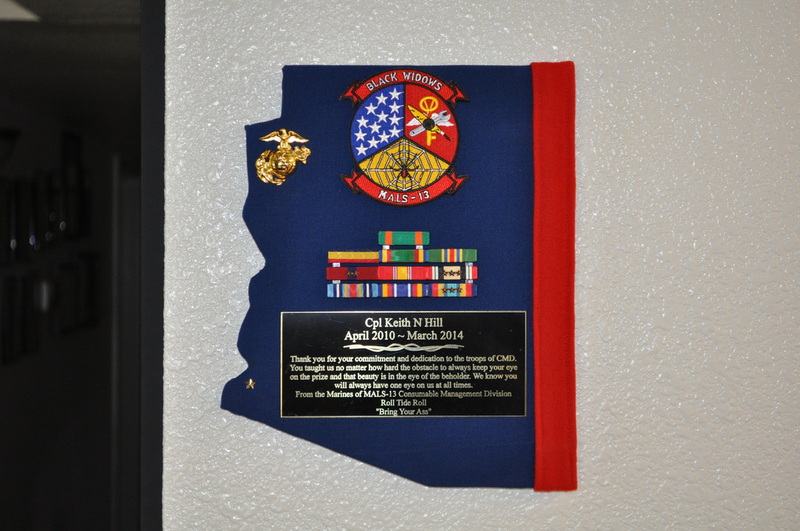 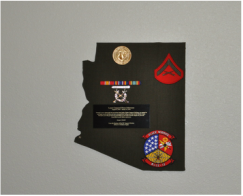 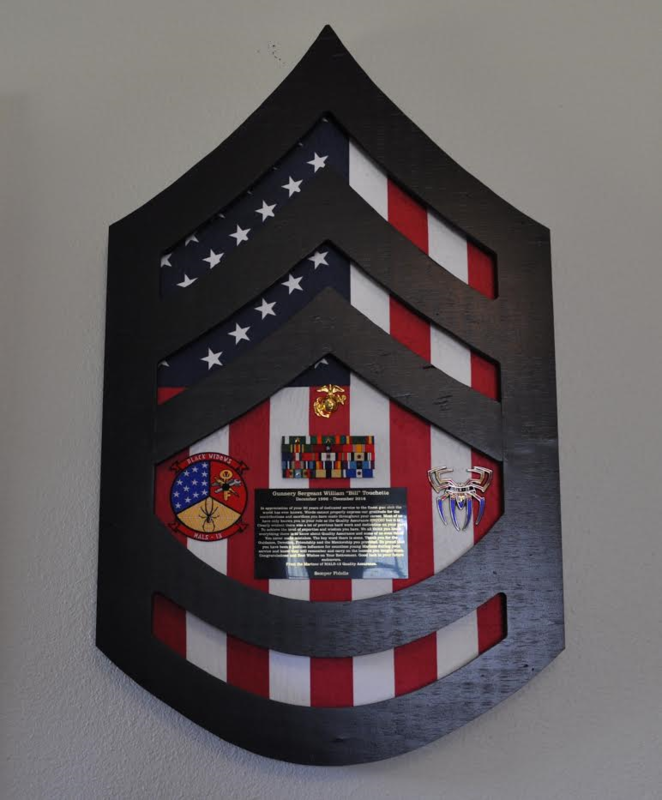 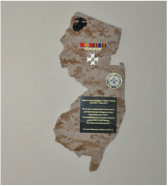 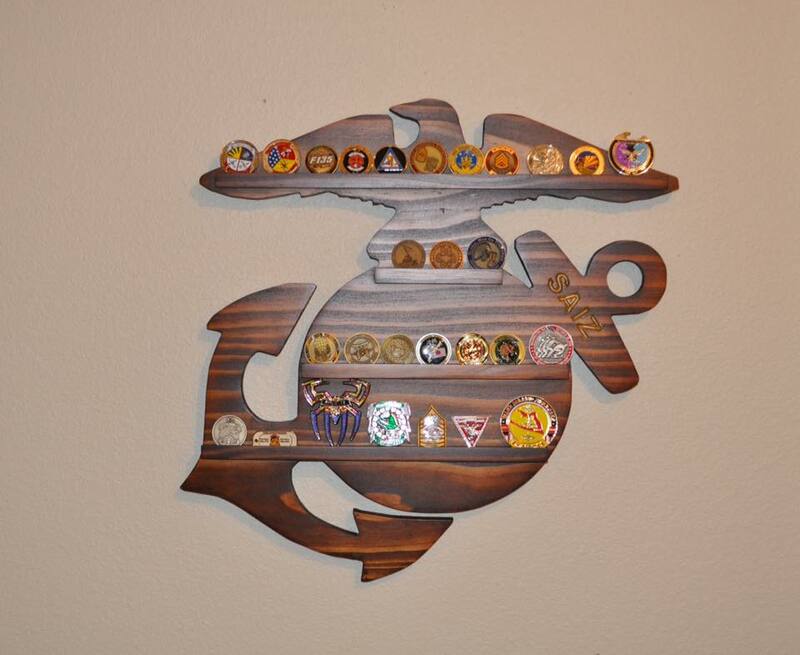 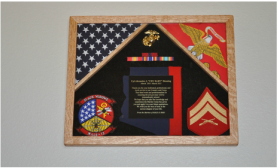 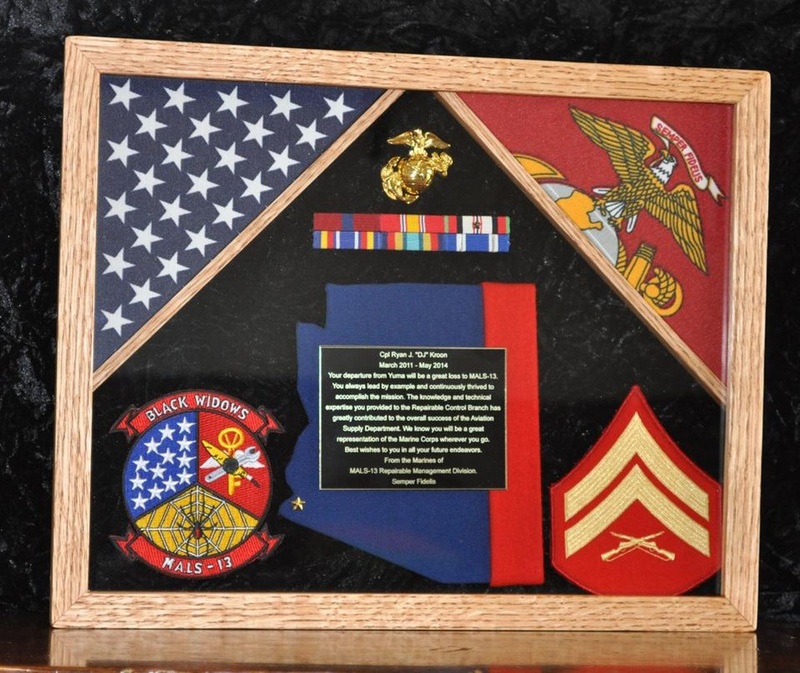 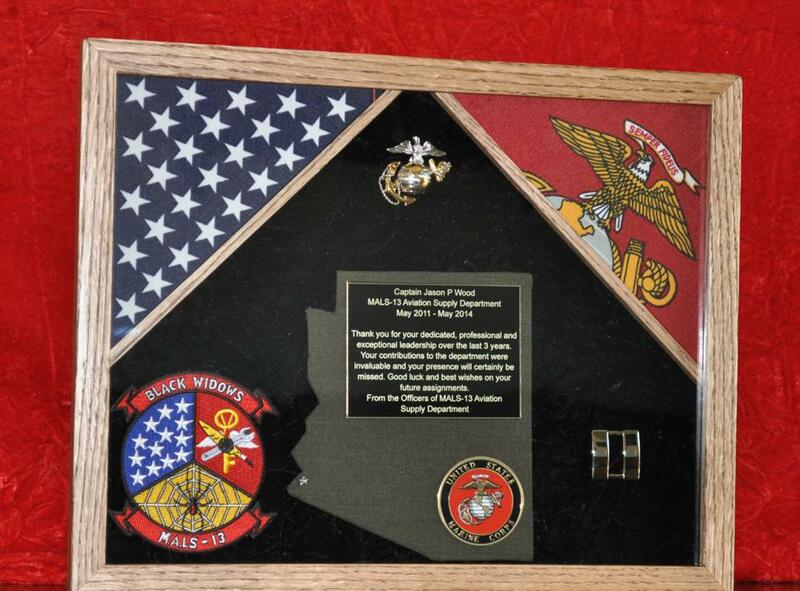 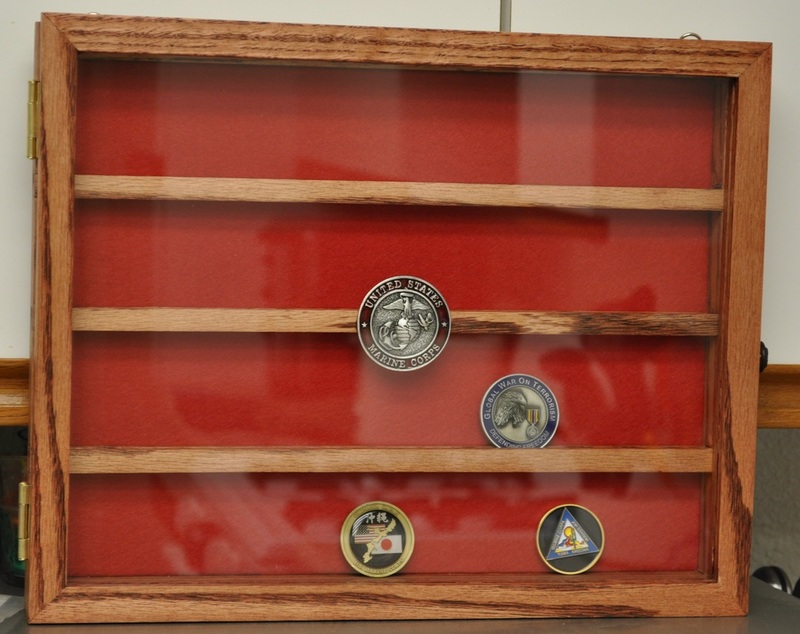 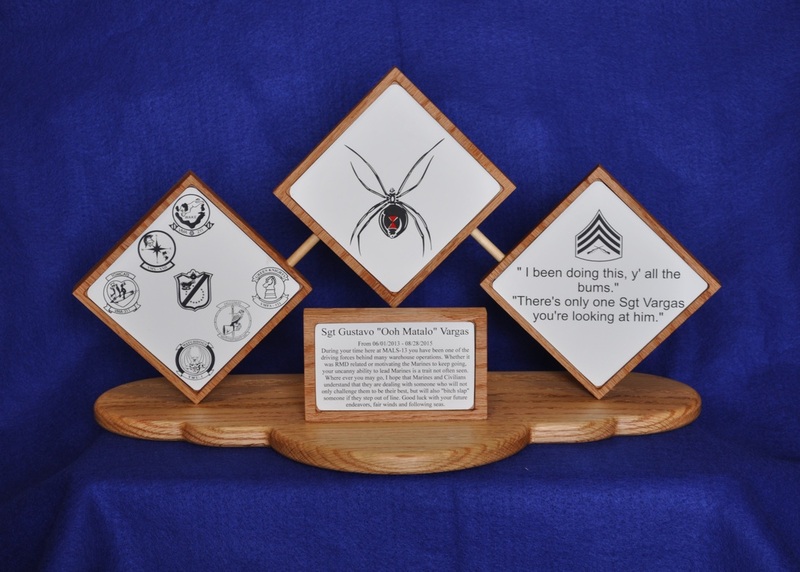 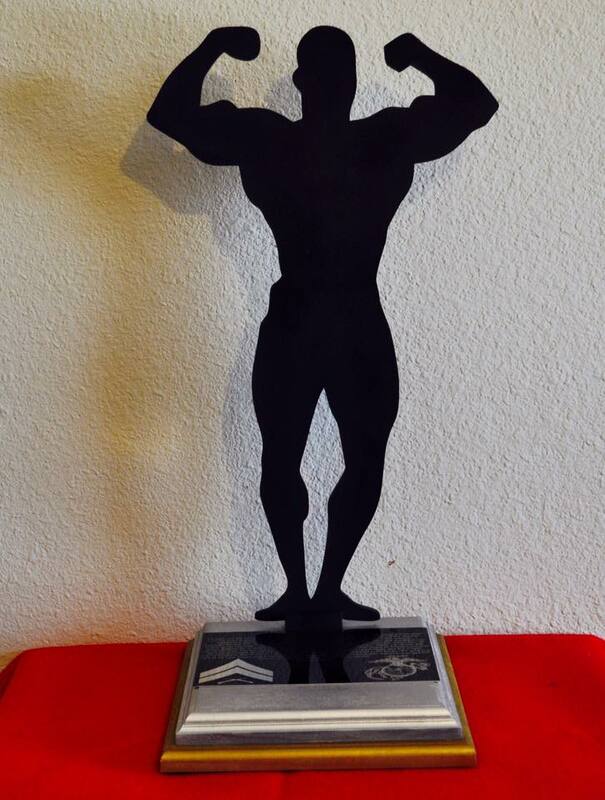 The built-in Challenge coin display is a Colpitts Custom Creations original design. 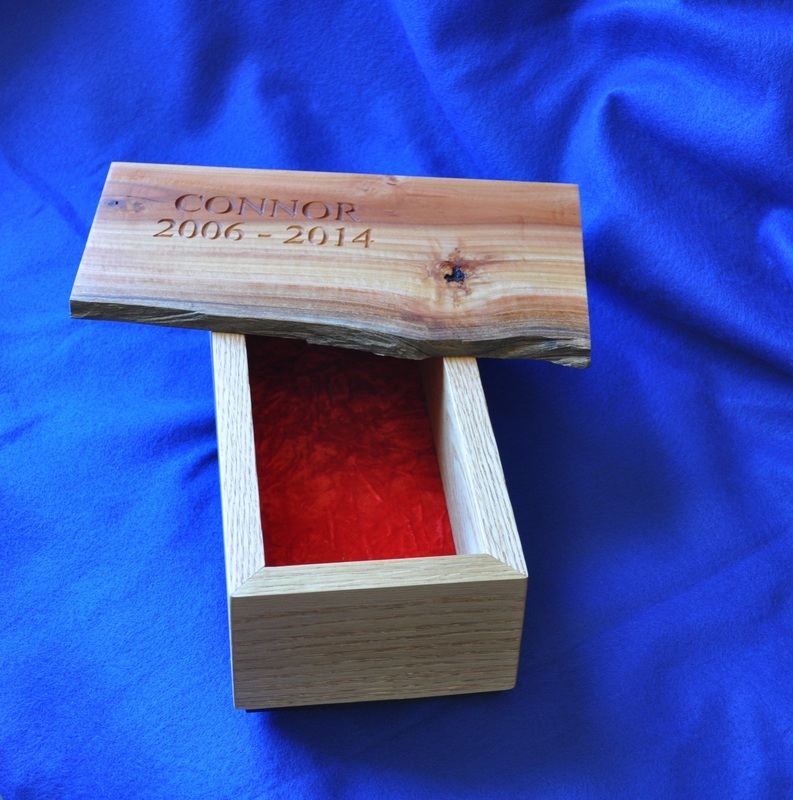 This is a Colpitts Custom Creations original design. 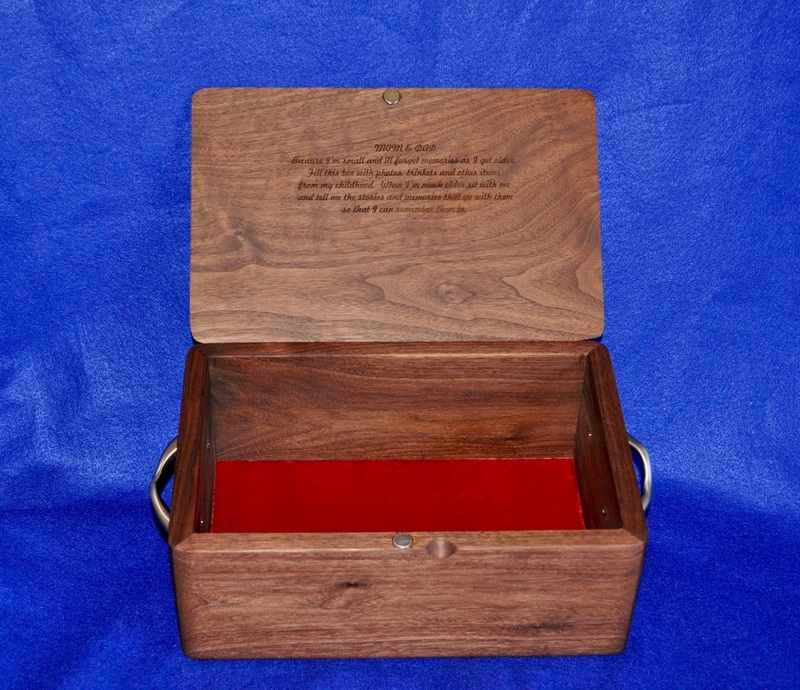 The wood has the bombay mahogany stain applied. 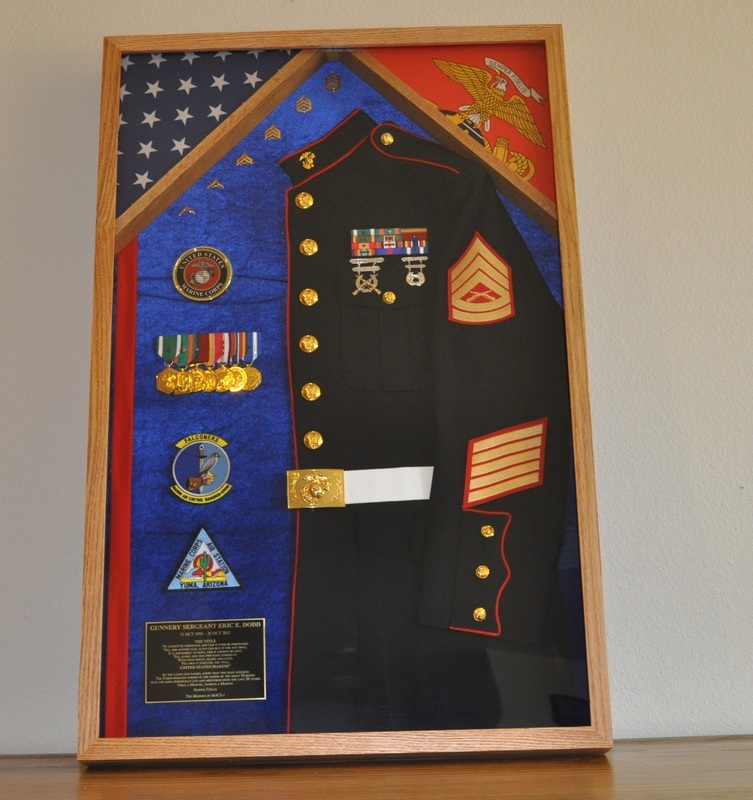 This is a Colpitts Custom Creations original design. 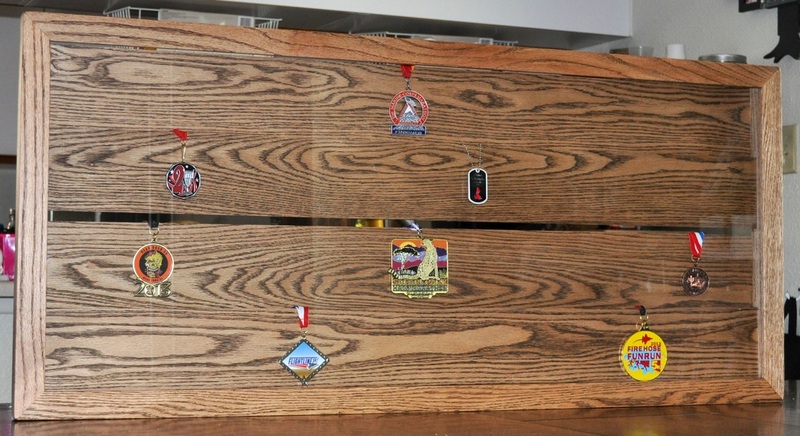 12"x15" medal display case in American chestnut stain. 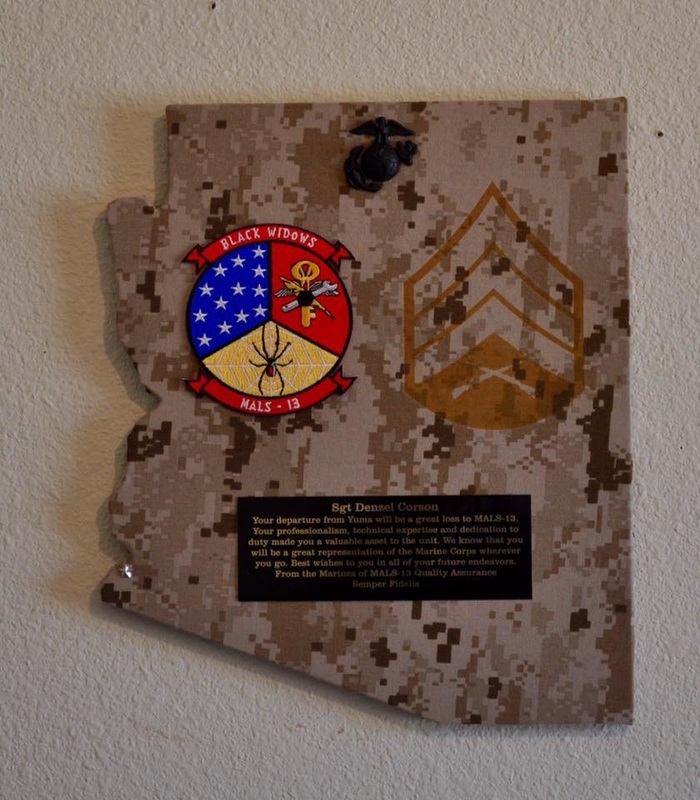 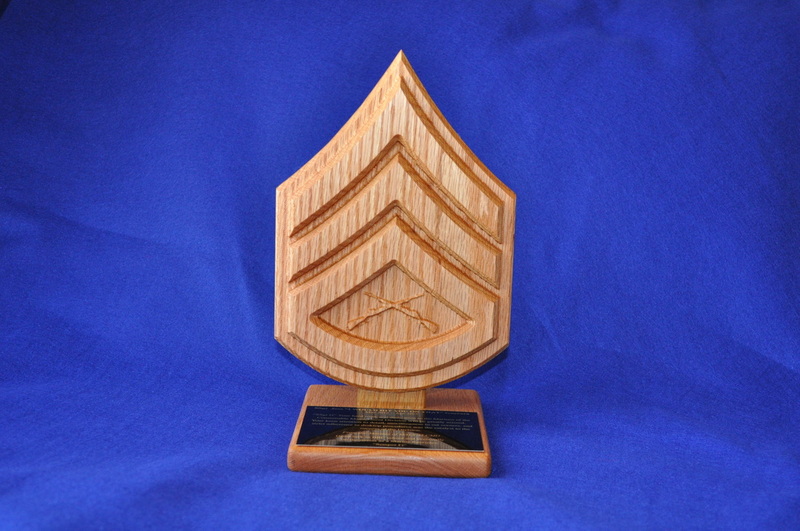 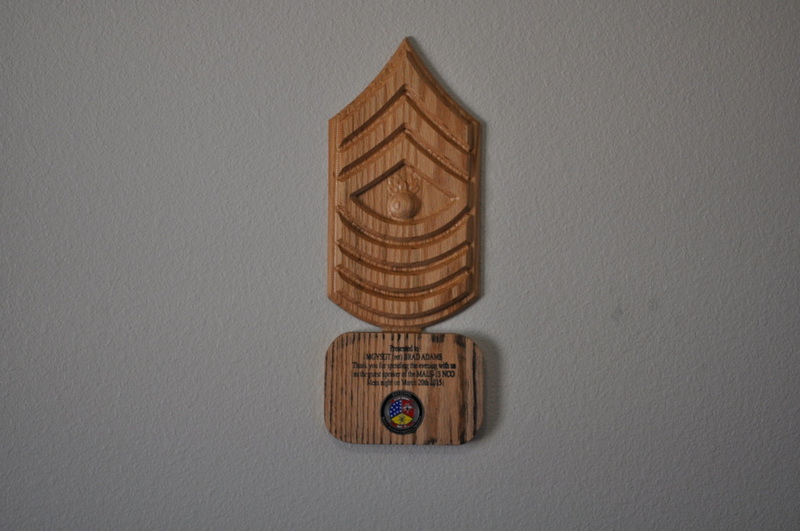 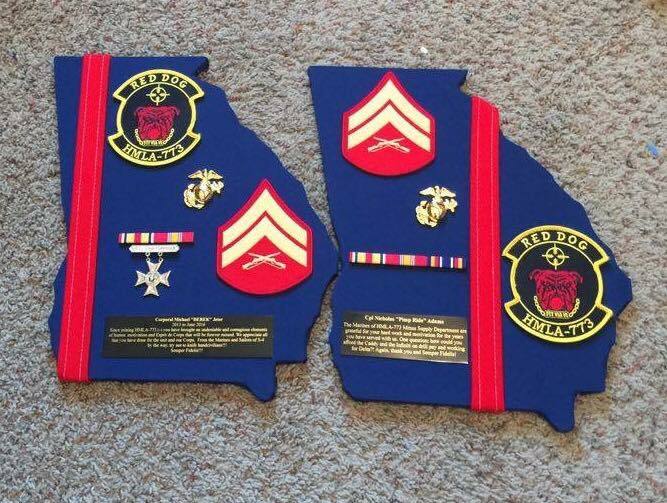 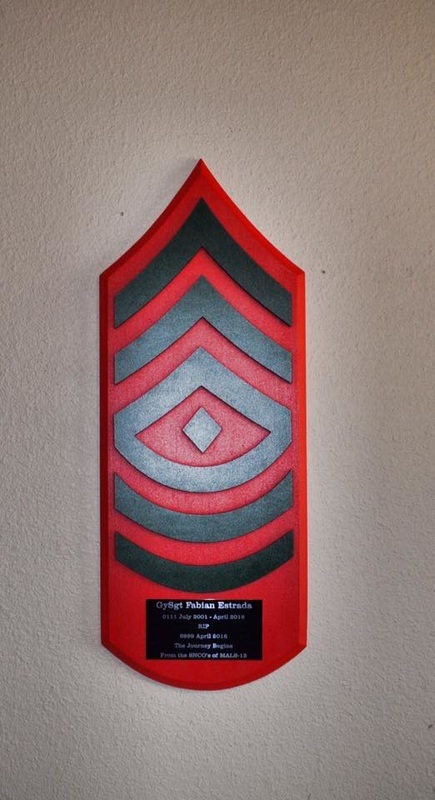 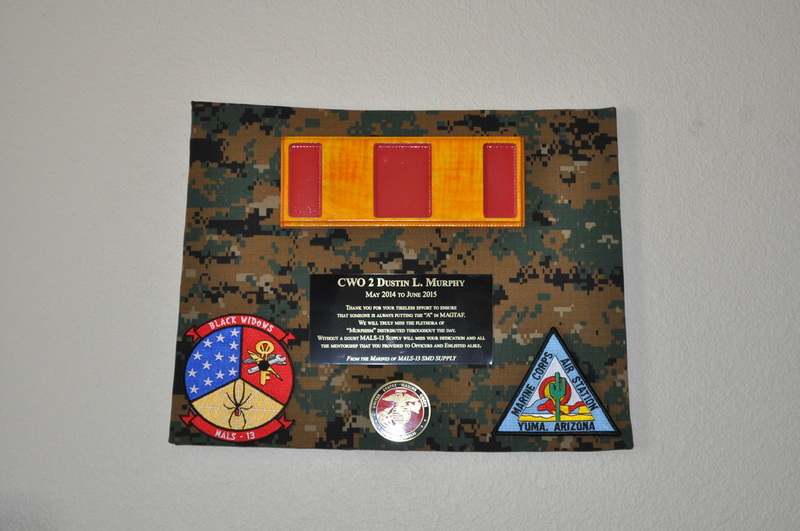 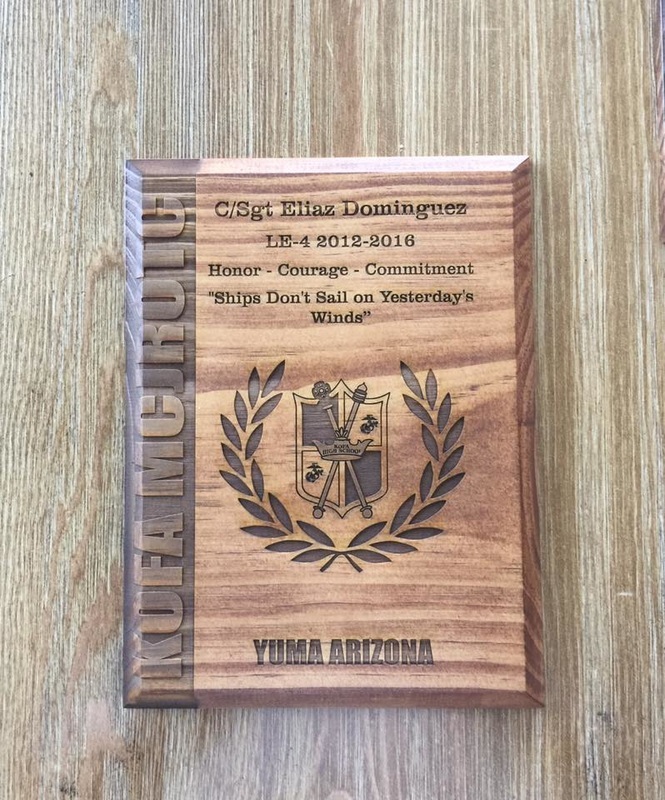 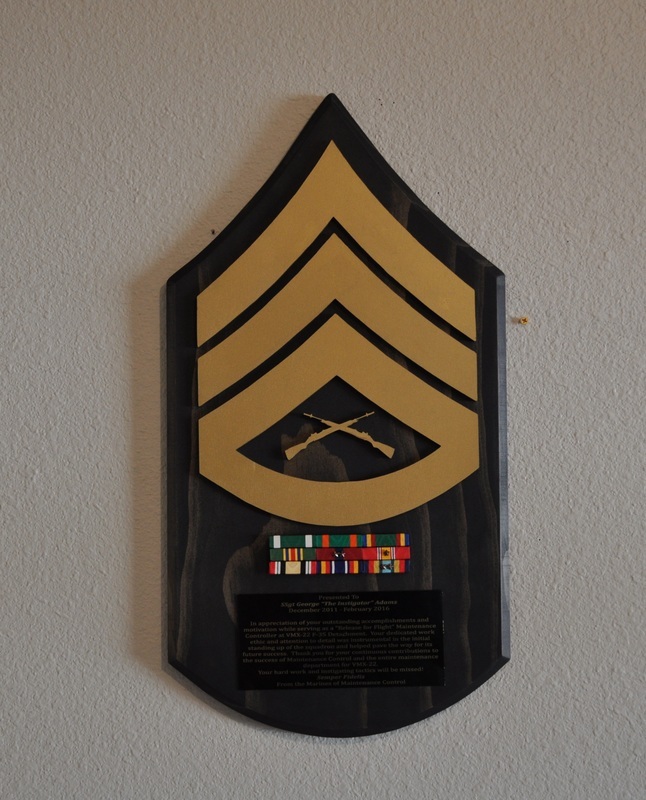 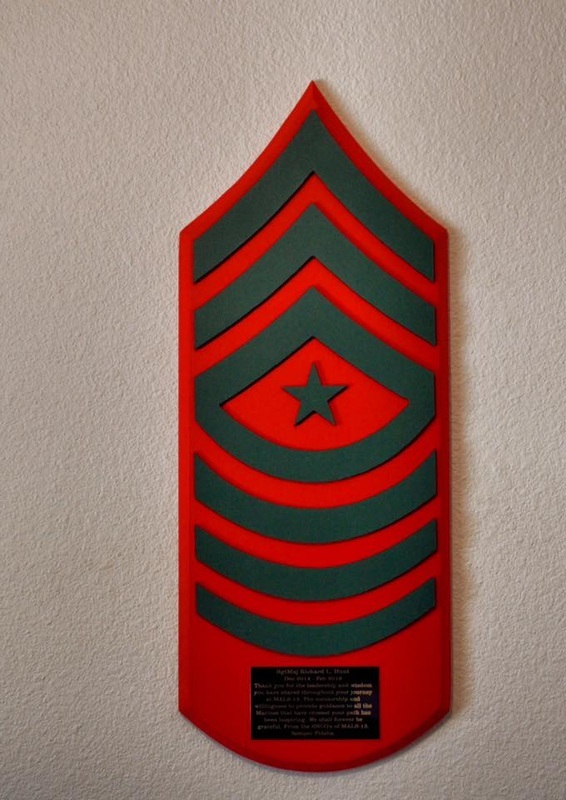 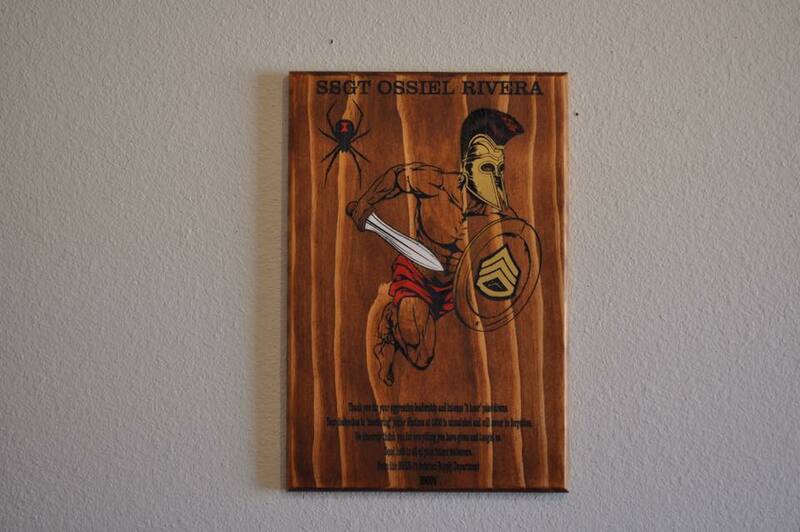 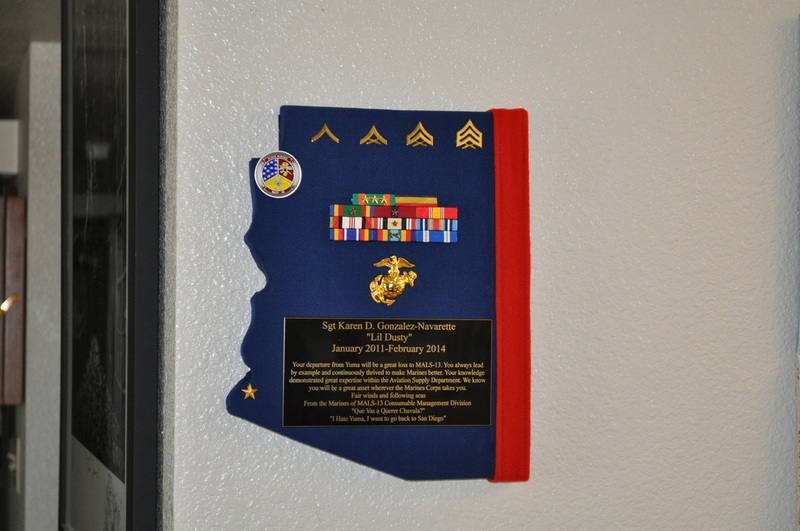 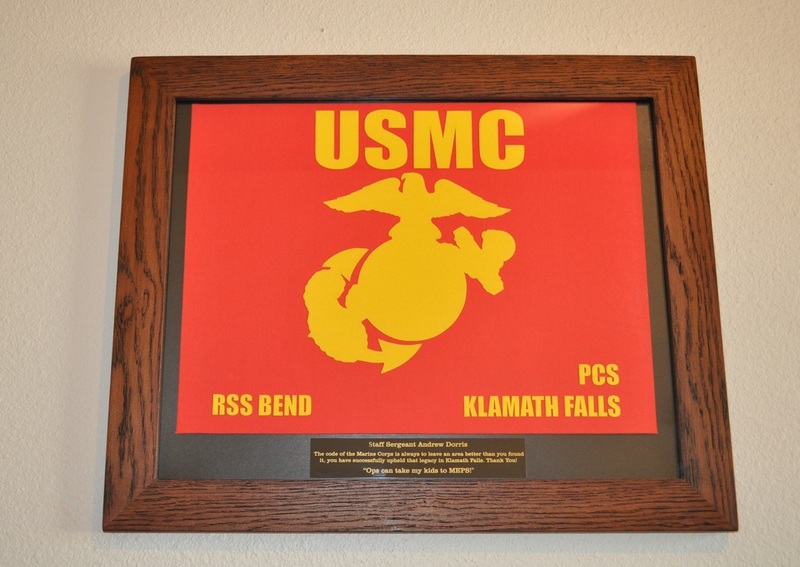 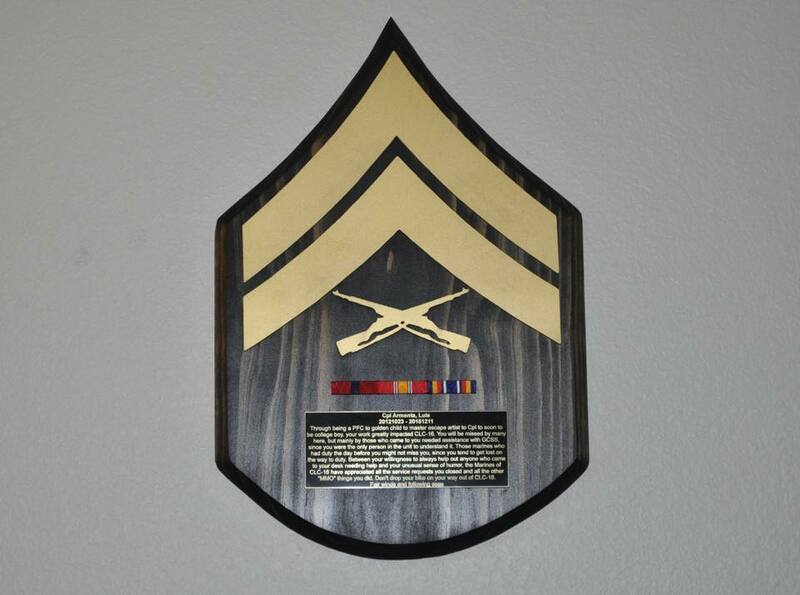 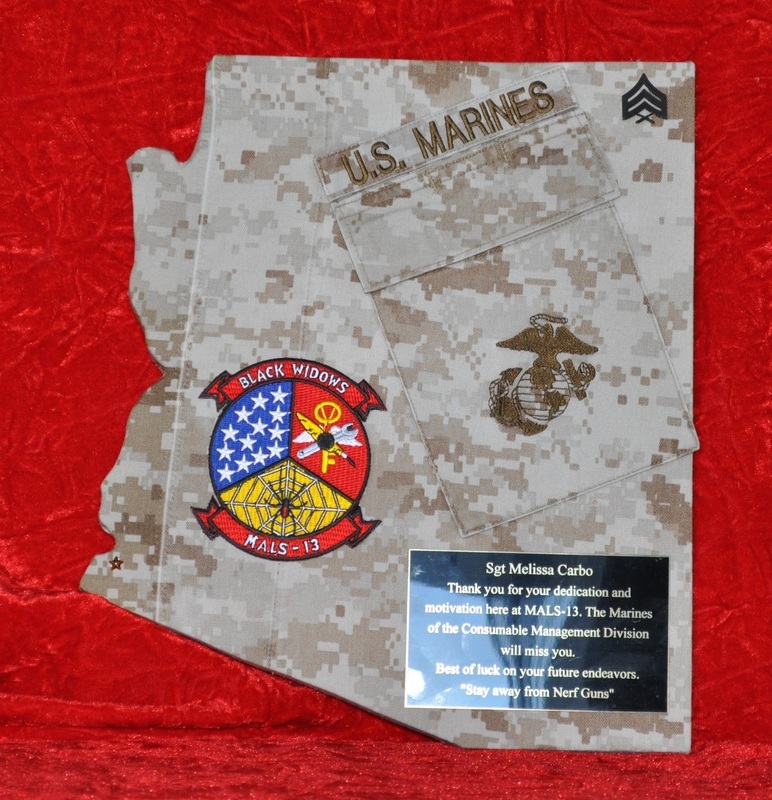 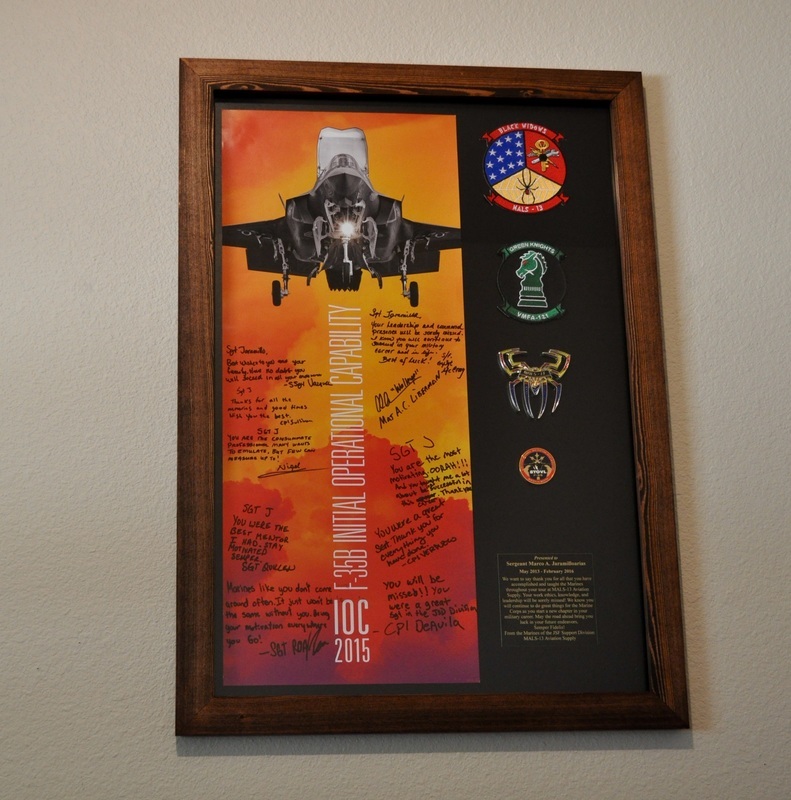 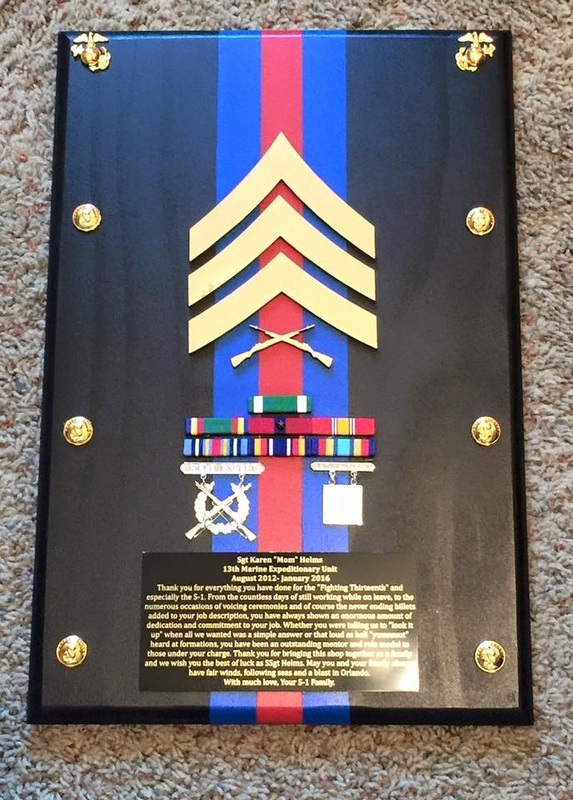 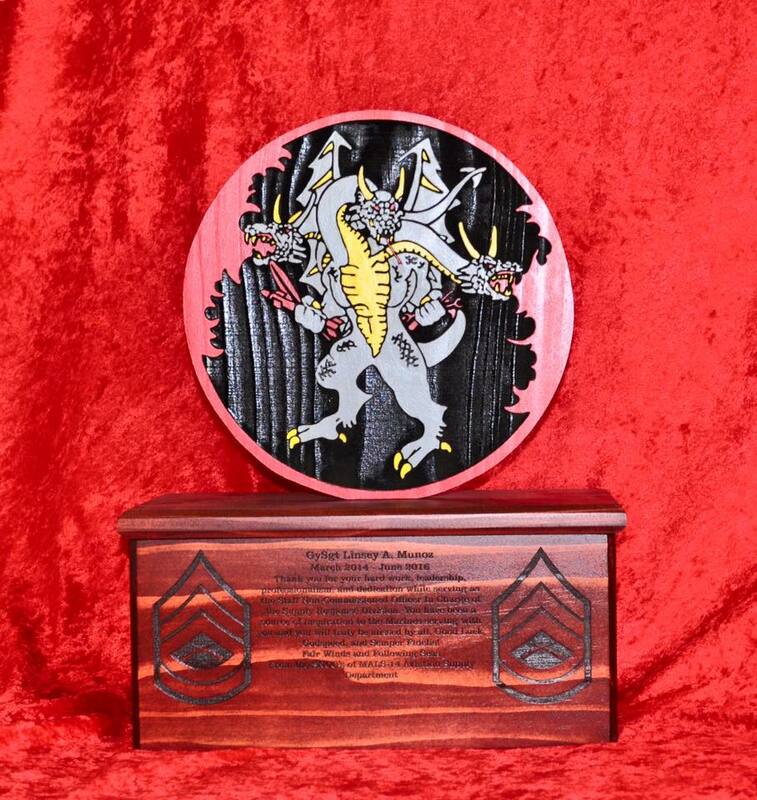 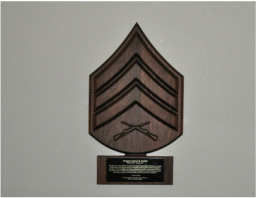 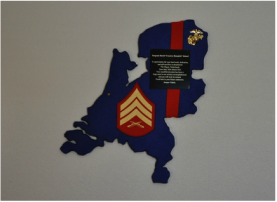 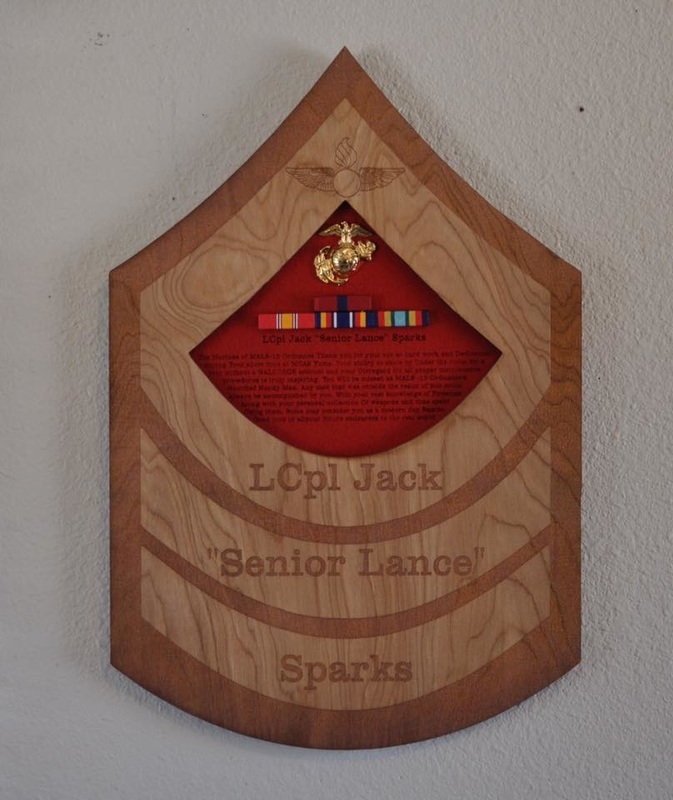 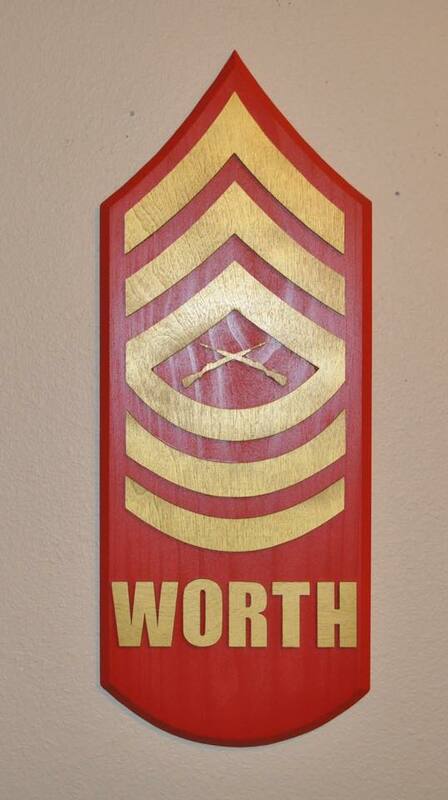 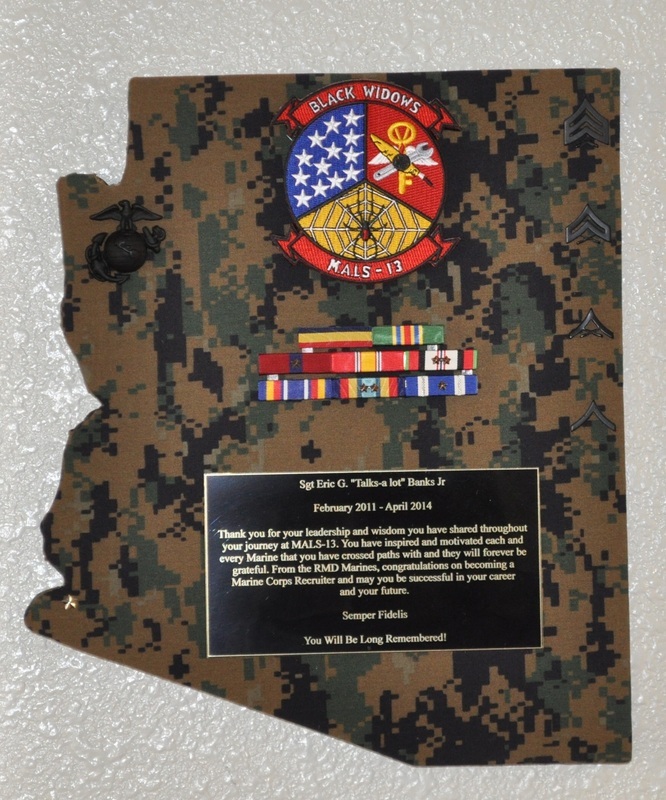 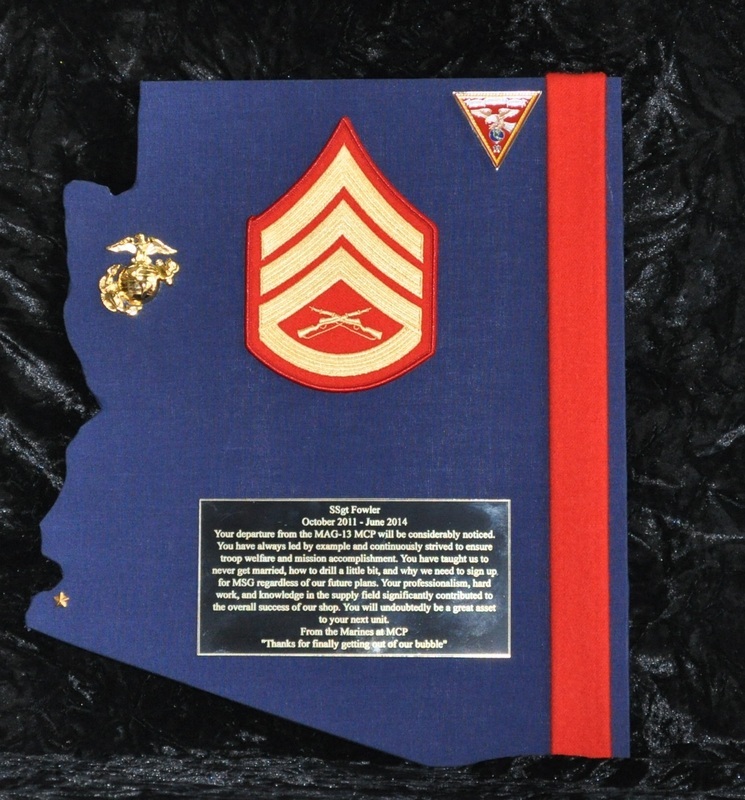 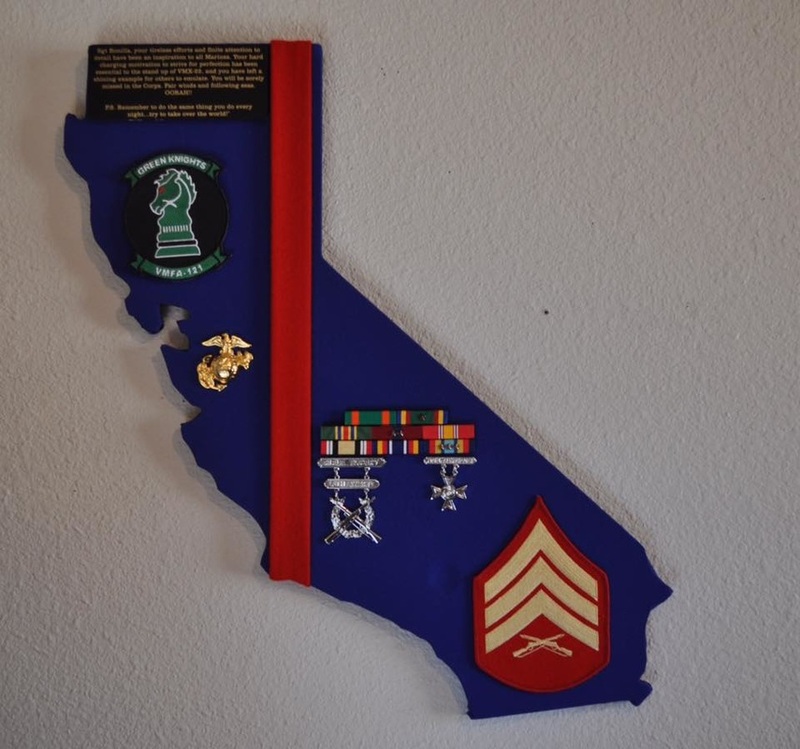 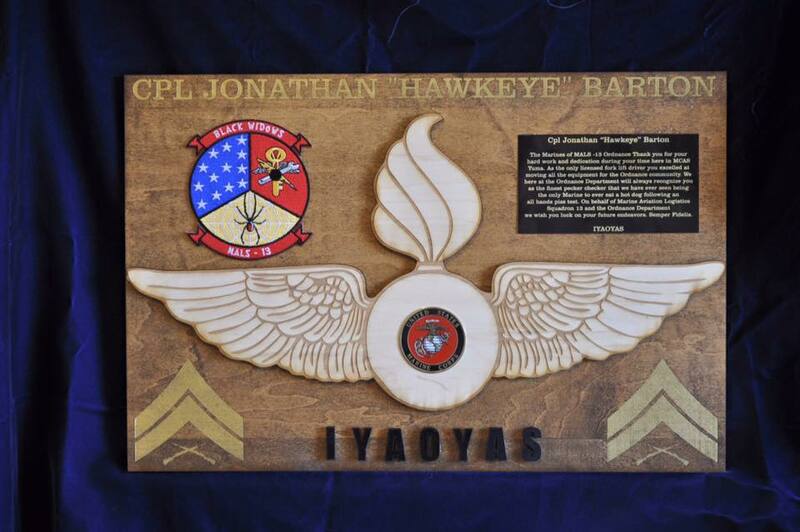 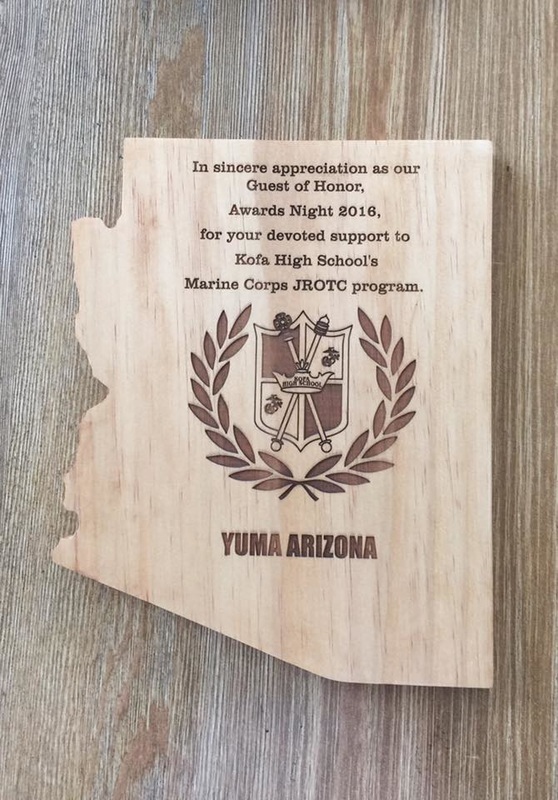 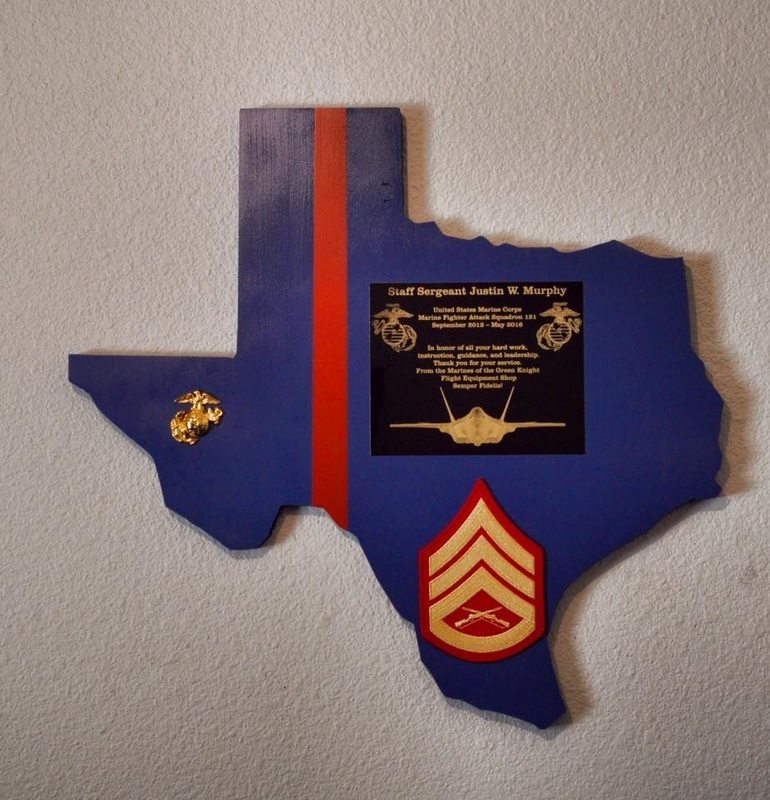 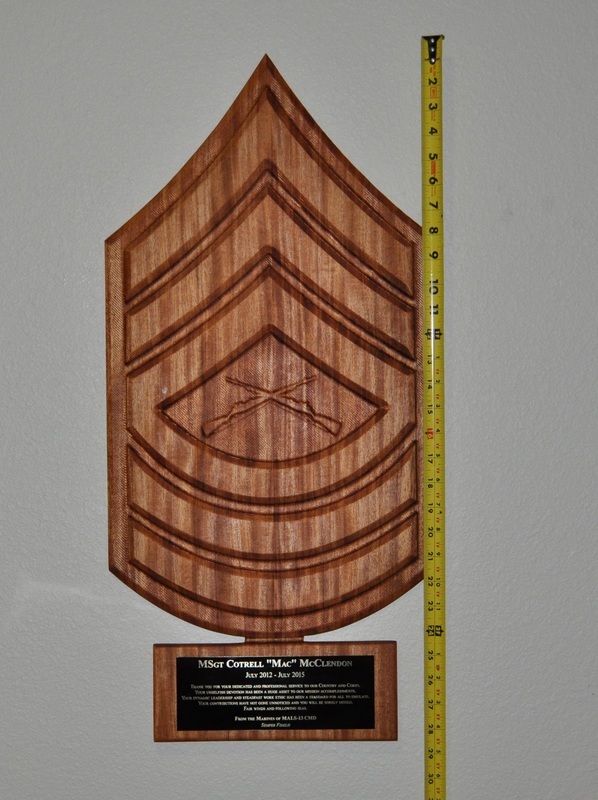 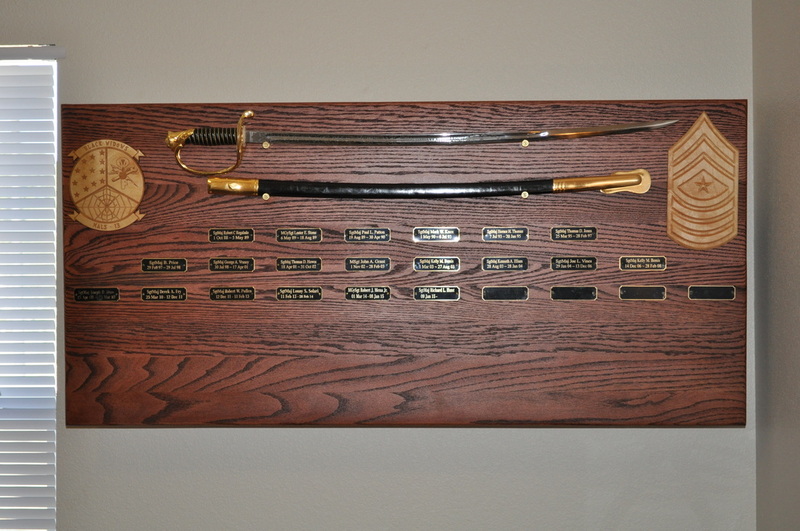 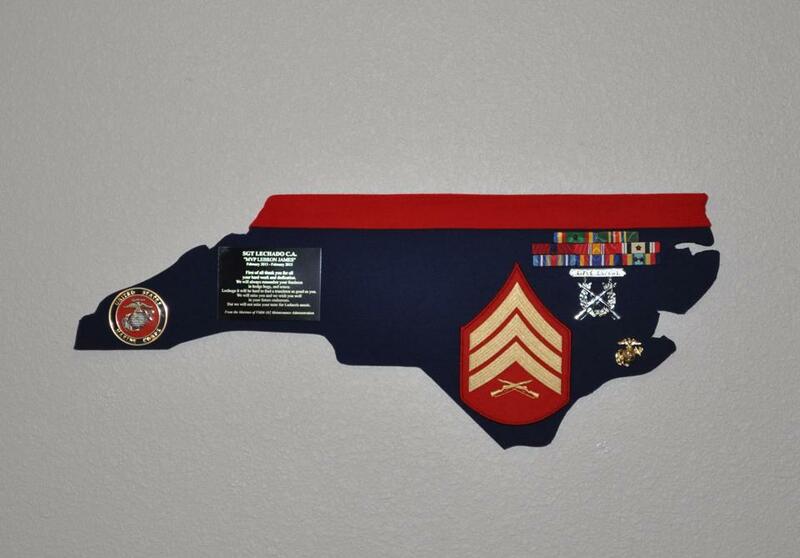 Sgt Rank going away plaque. 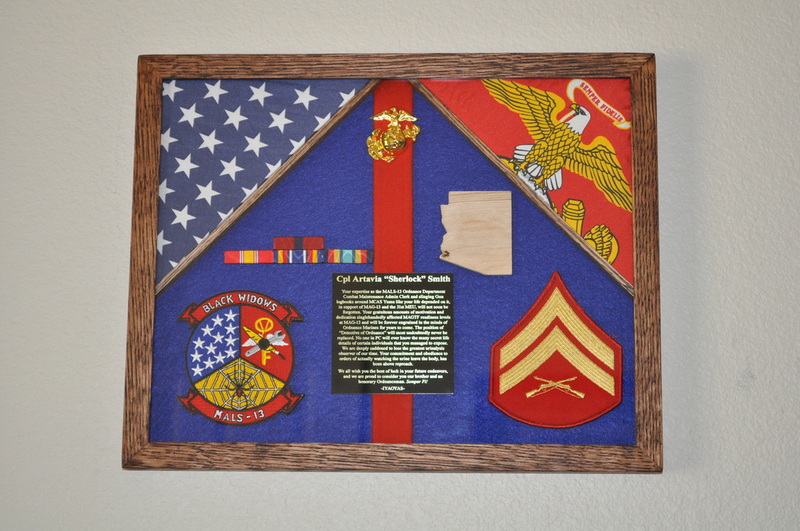 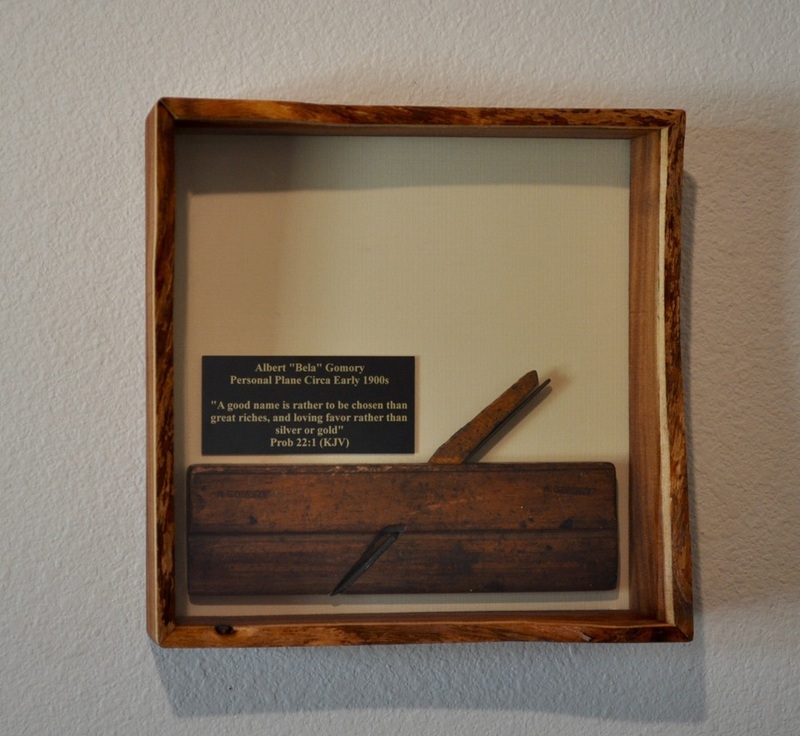 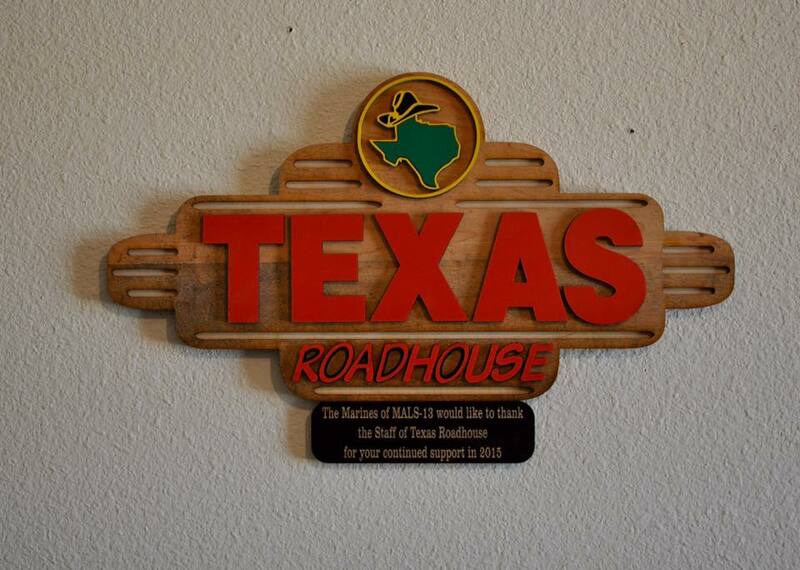 Custom Built frame and Plaque. 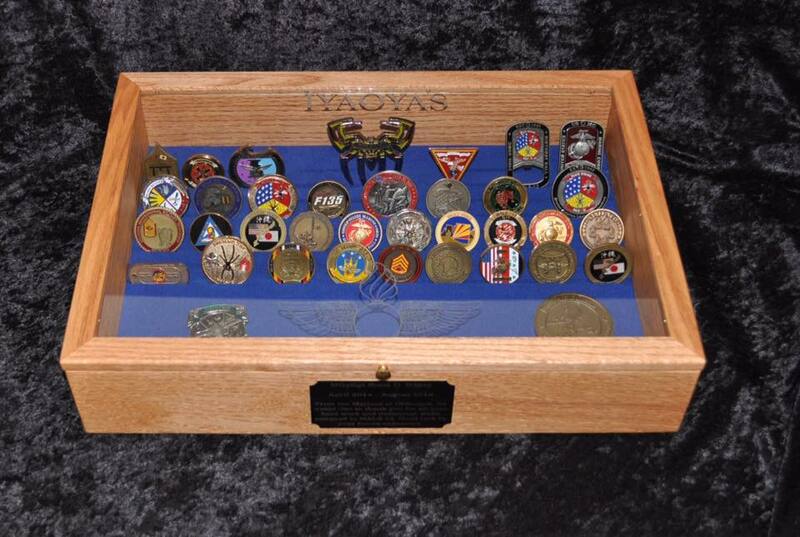 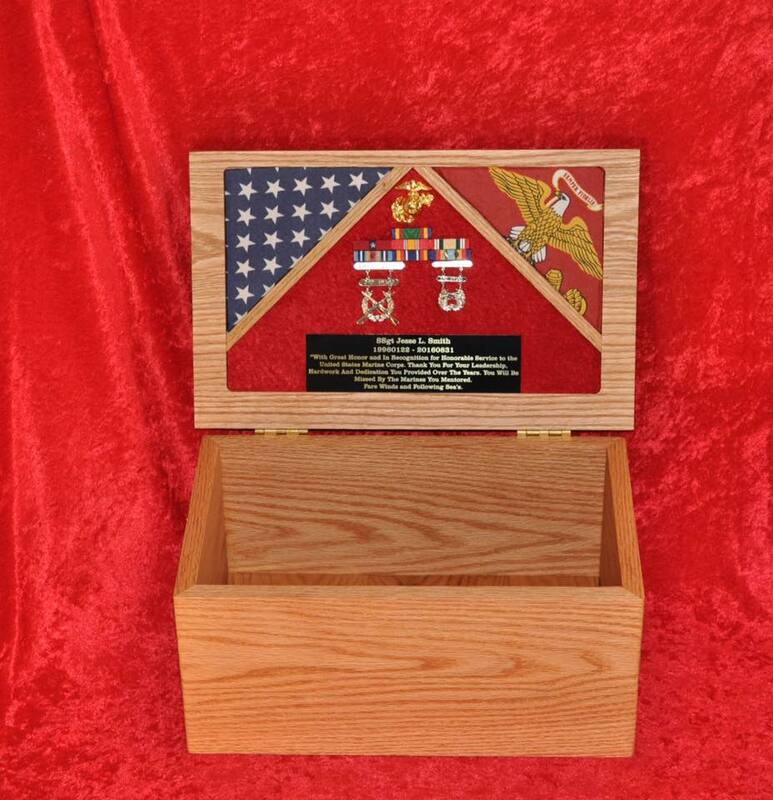 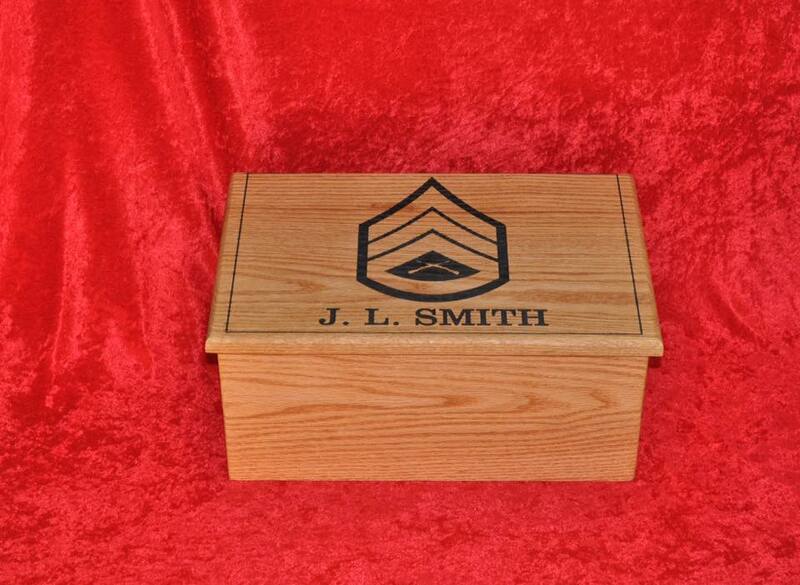 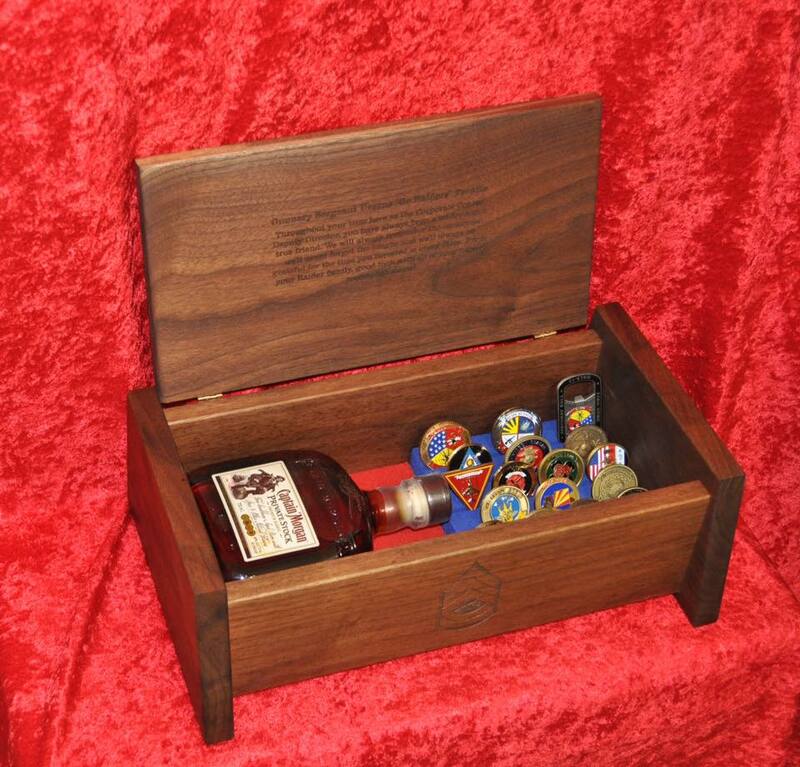 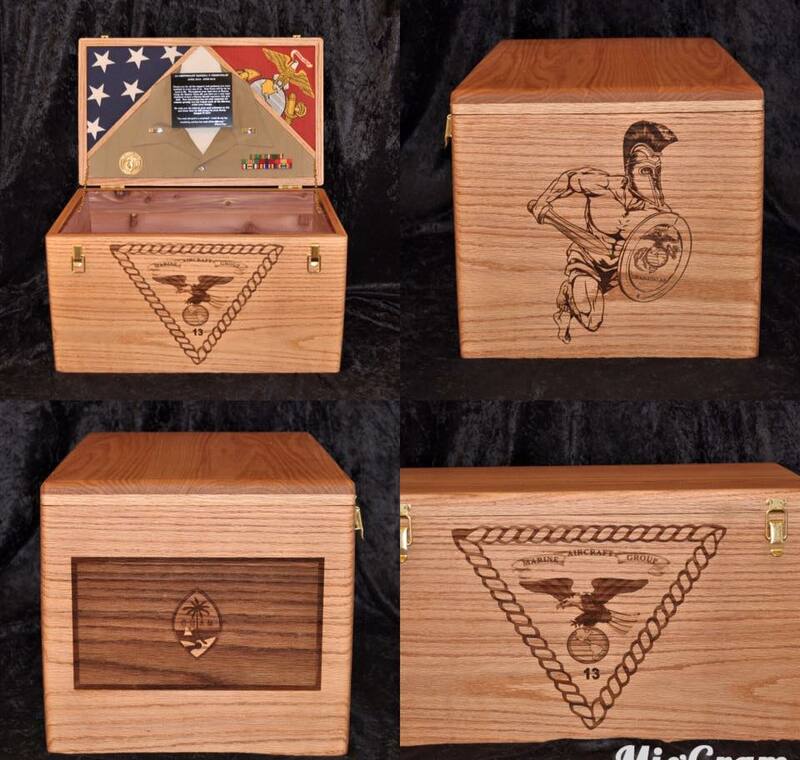 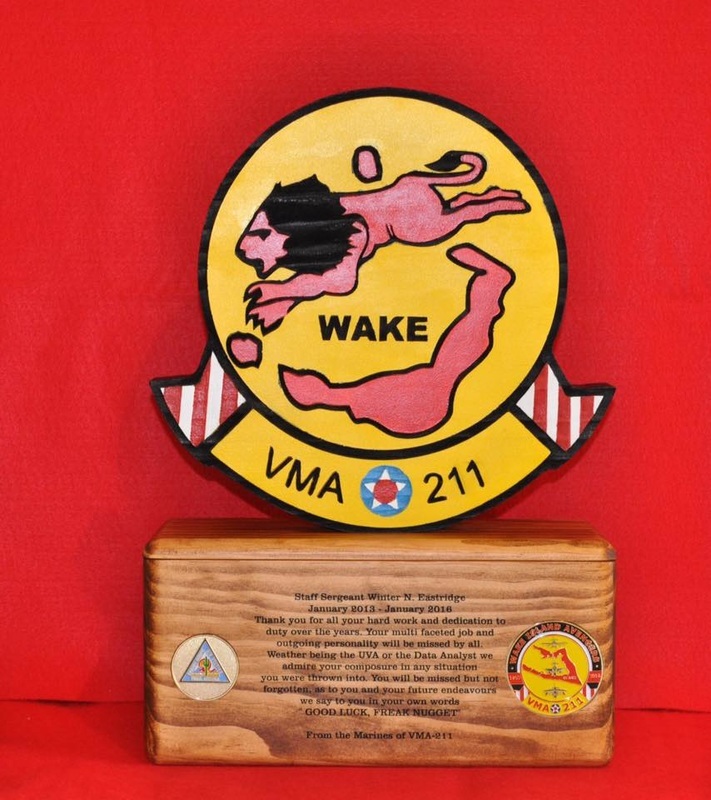 Custom Desktop Challenge Coin Display Box. 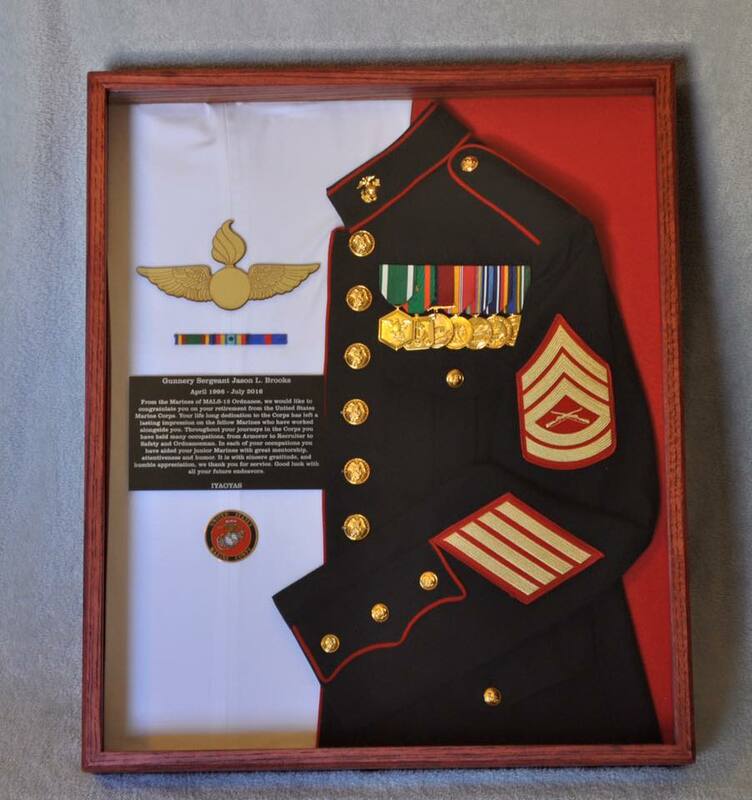 This is a Colpitts Custom Creation original design. 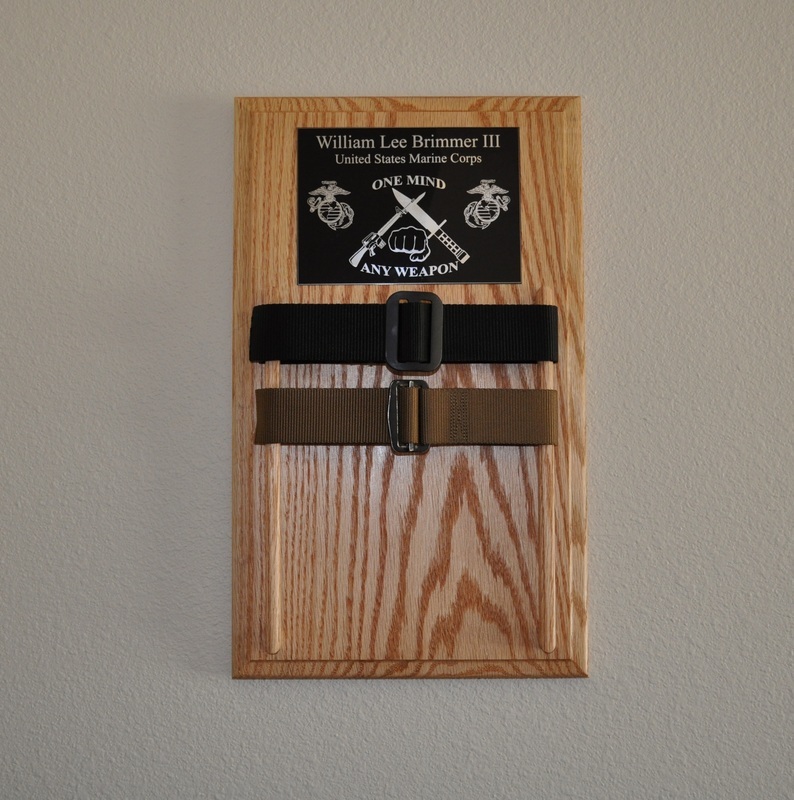 Custom Made Beer Tap Handle. 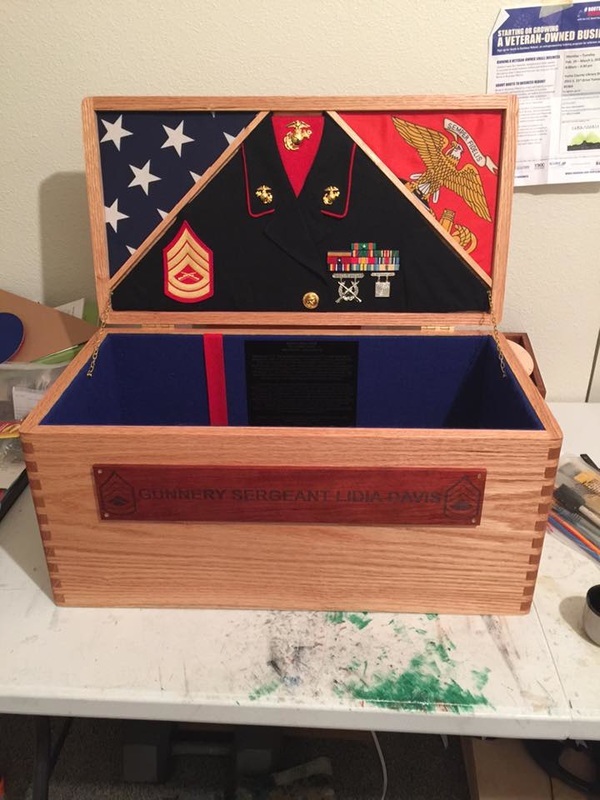 Going away storage box with squadron patch on lid. 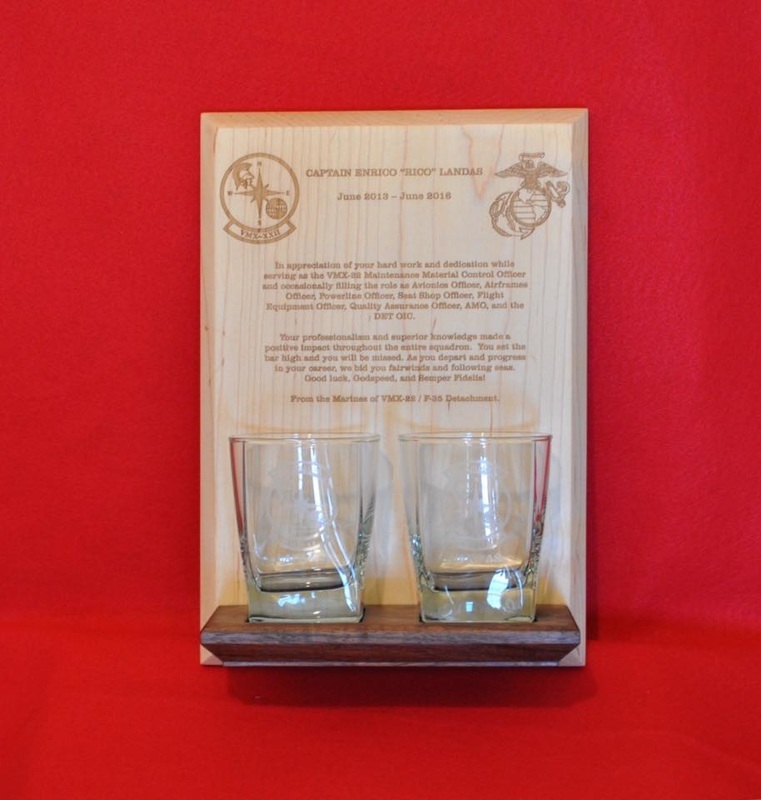 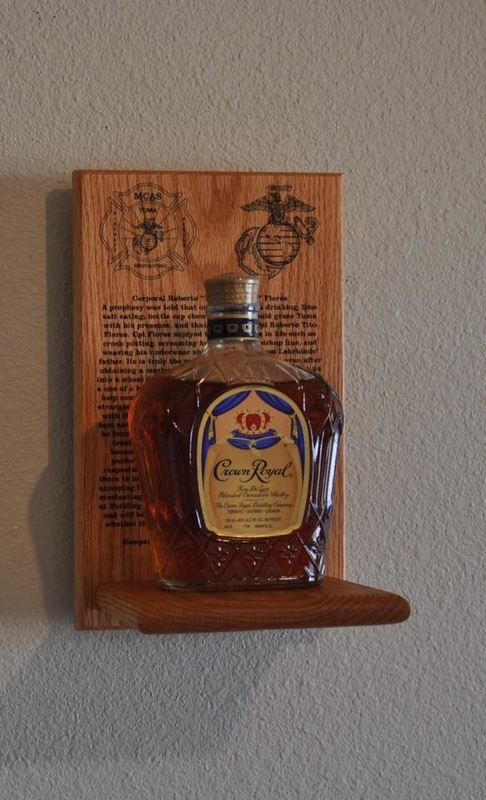 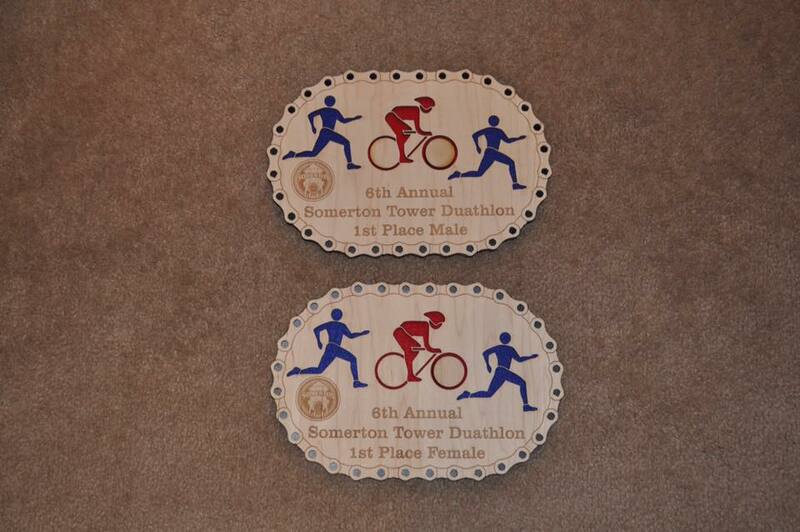 Custom made plaque with shelf to hold to 2 engraved Rocks glasses. 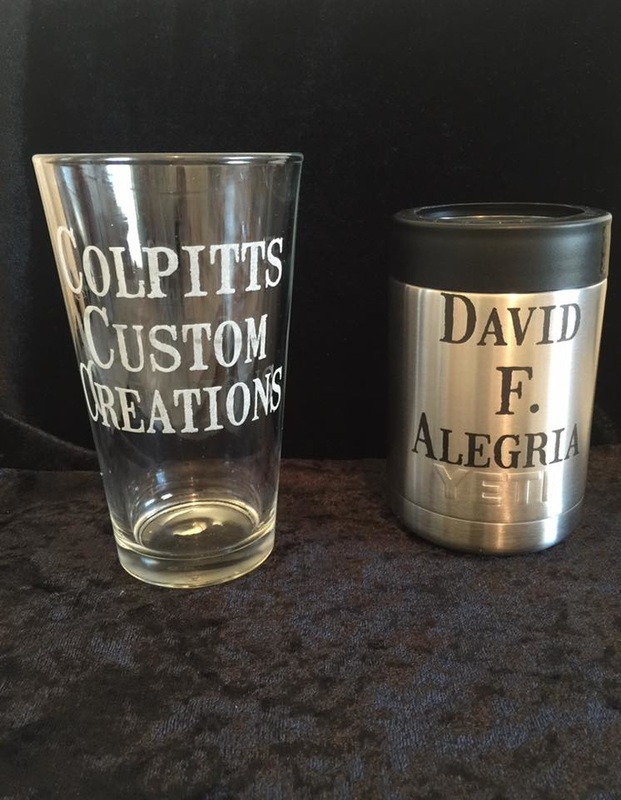 This is a Colpitts Custom Creations original design. 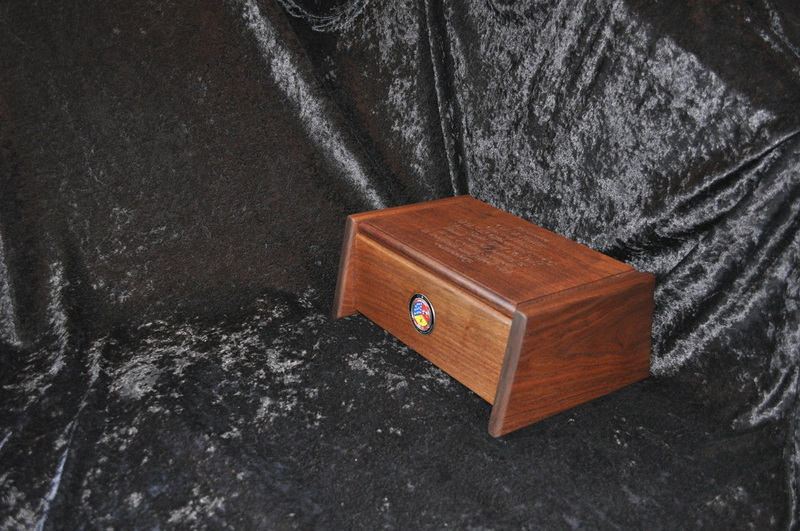 The wood has the Tudor stain applied. 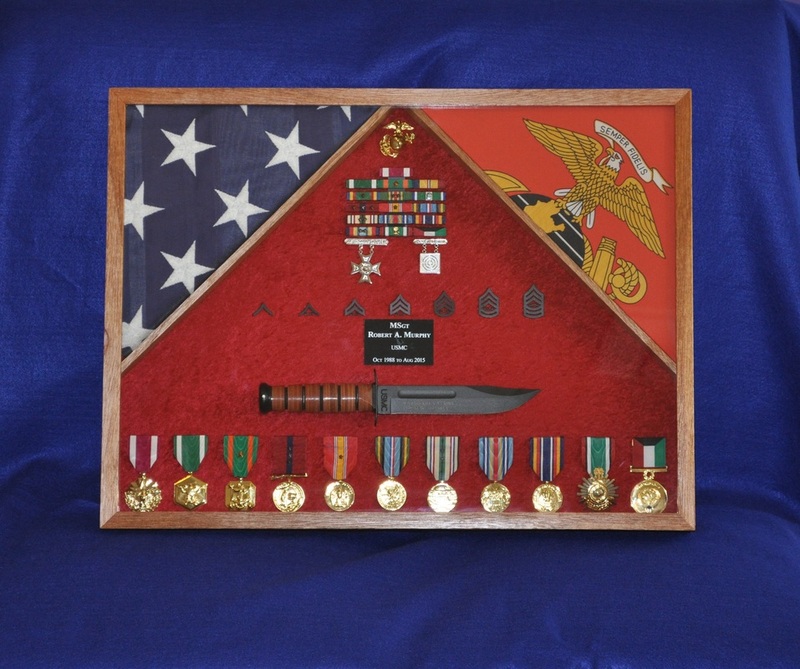 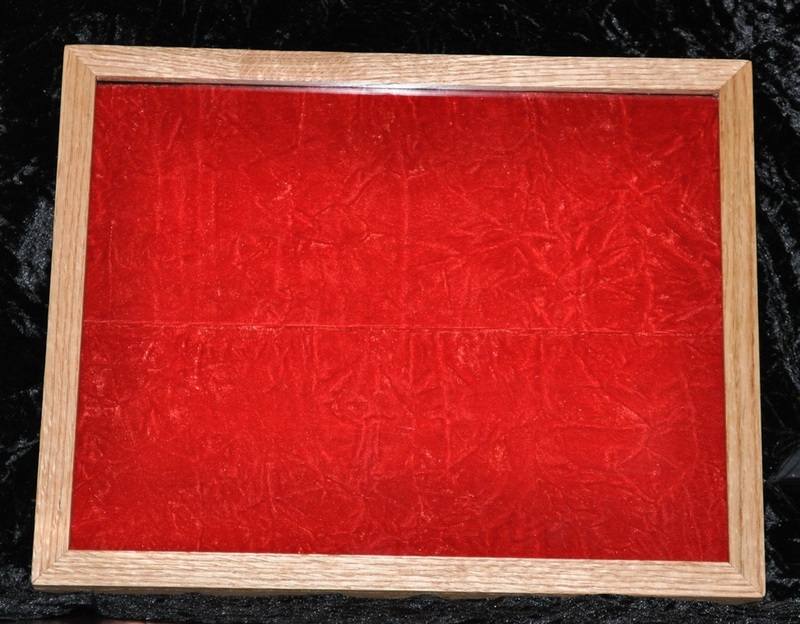 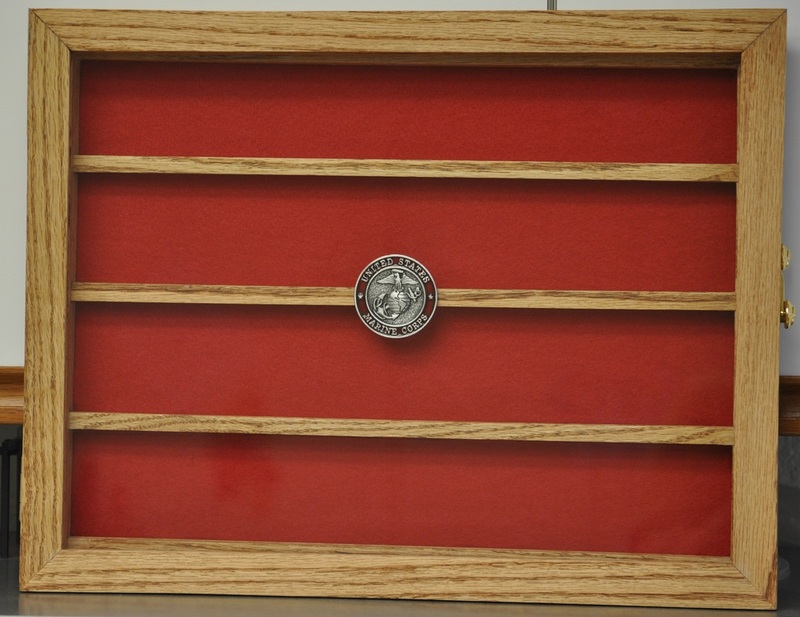 12"x15" medal display case in classic oak stain with crushed red velvet interior panels. 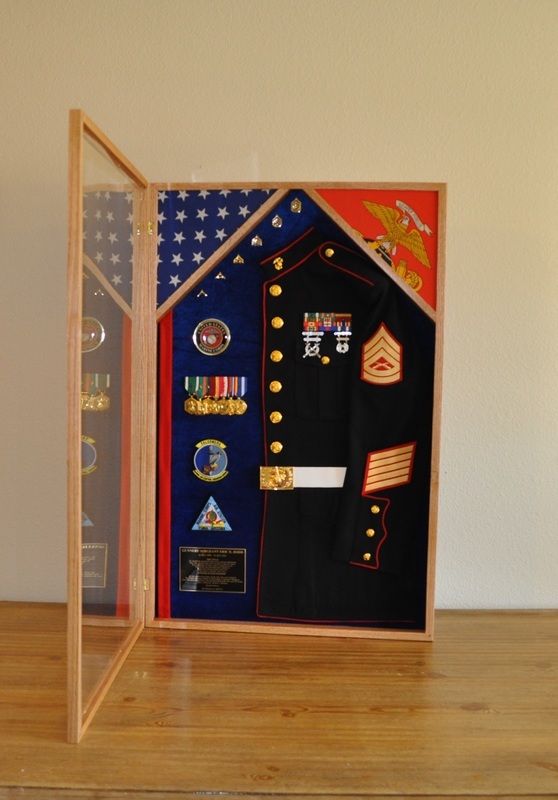 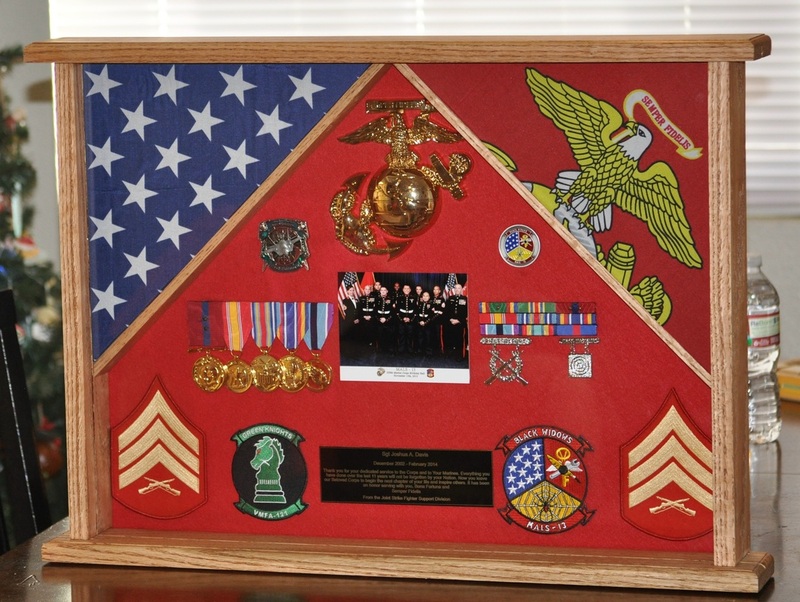 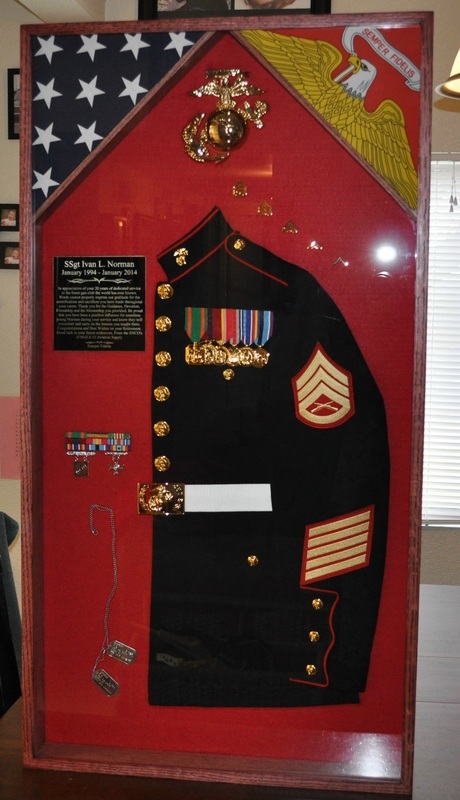 This Medal display case is a Colpitts Custom Creations original design. 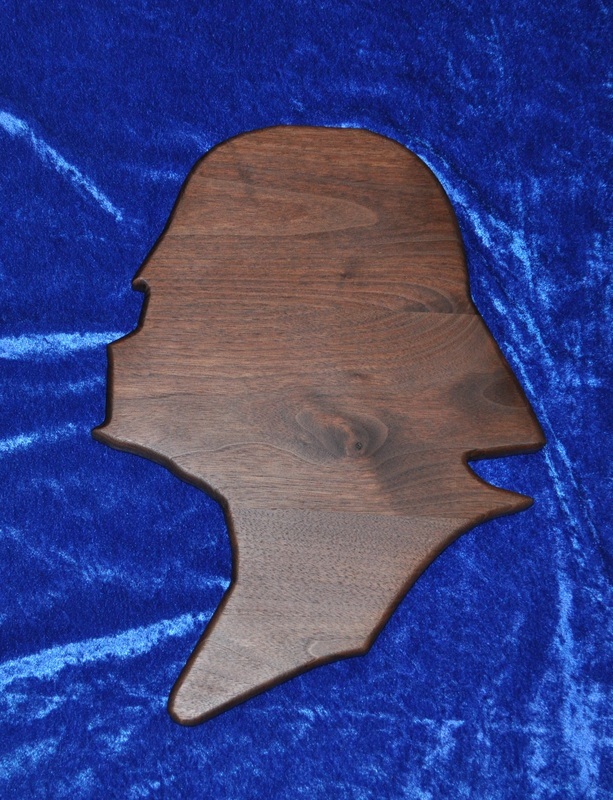 The wood has the Tudor stain applied. 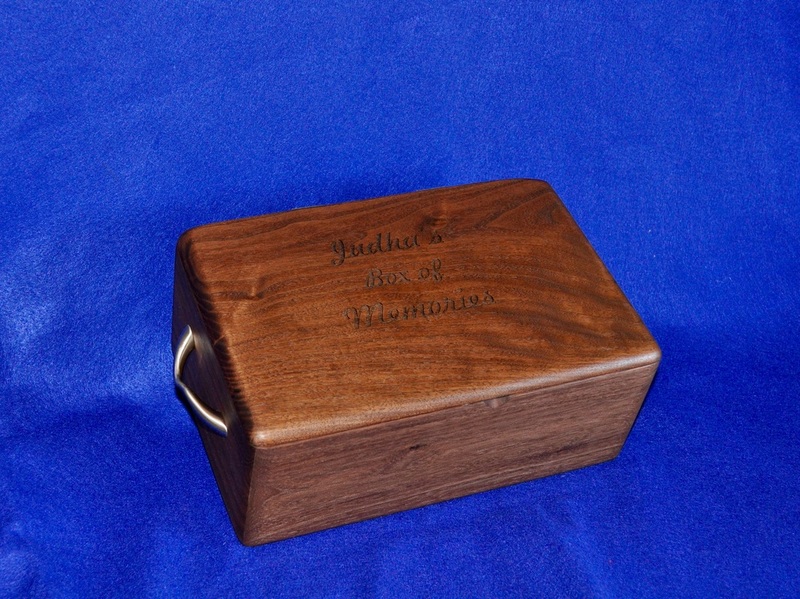 Walnut Children's Keepsake/ memory box for storing trinkets and pictures in. 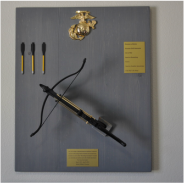 Shadow Bow with front opening door closed.